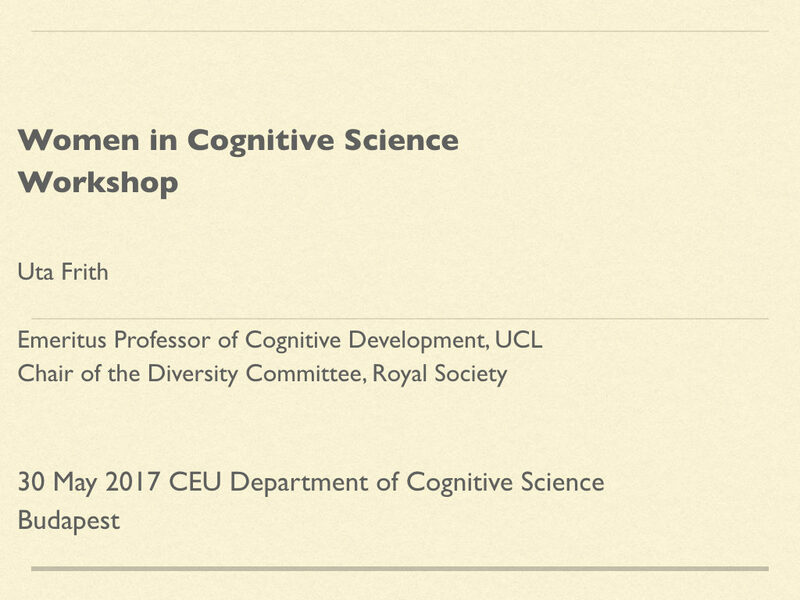 On the occasion of International Women’s Day 8th March 2019 I add here a talk I gave a couple of years ago to women at the Cognitive Science Department at the Central European University Budapest. 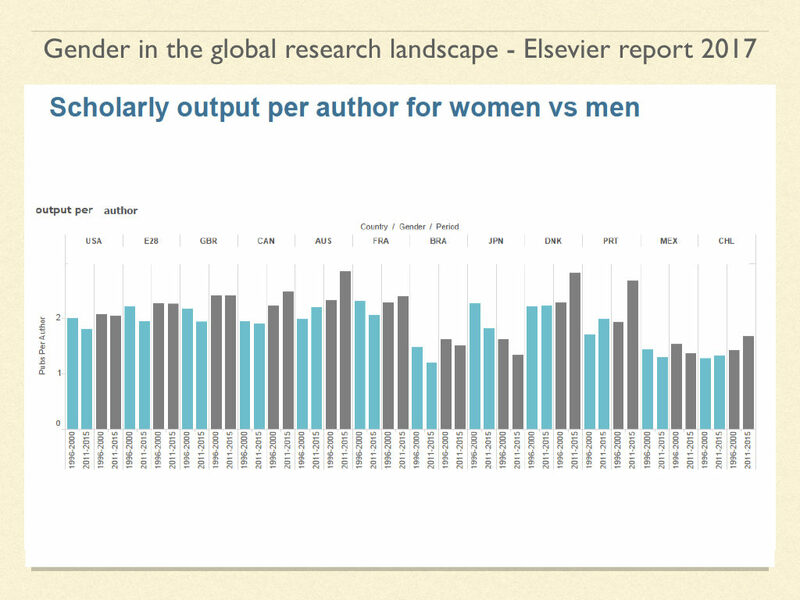 Some of it will be out of date, but most of it might still be of some interest to those who are wondering whether all the fuss about women in science is warranted even today. I believe it is. 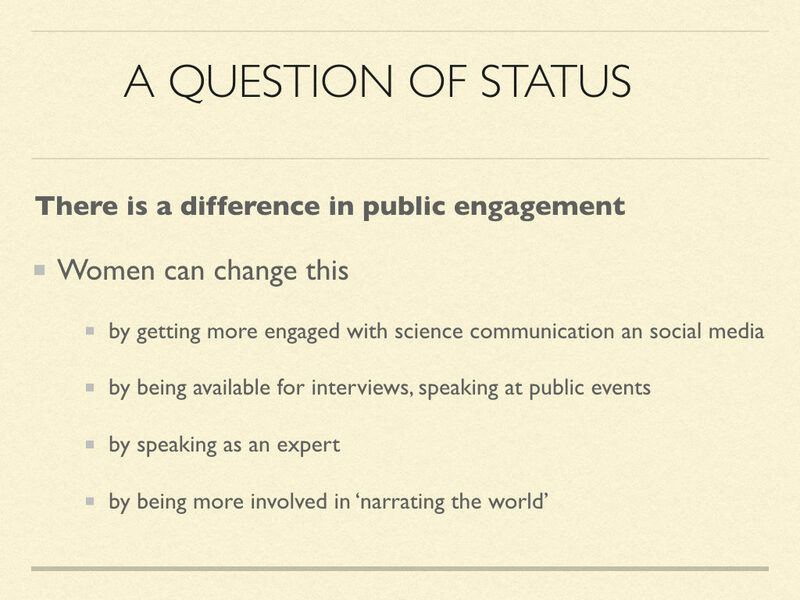 And this is why I have decided to leave the talk as it is. There are 28 slides. 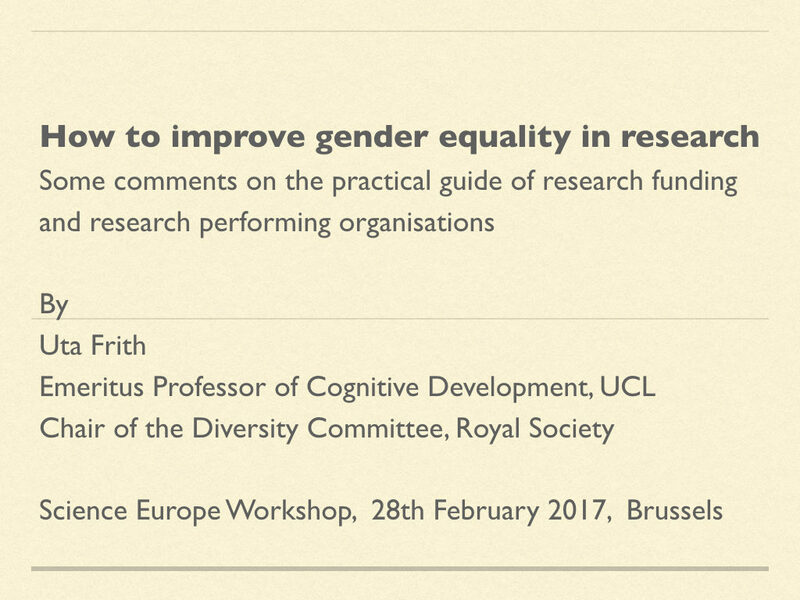 Here are 20 slides from a short talk I gave at a Science Europe Workshop on 28th February 2017 in Brussels. 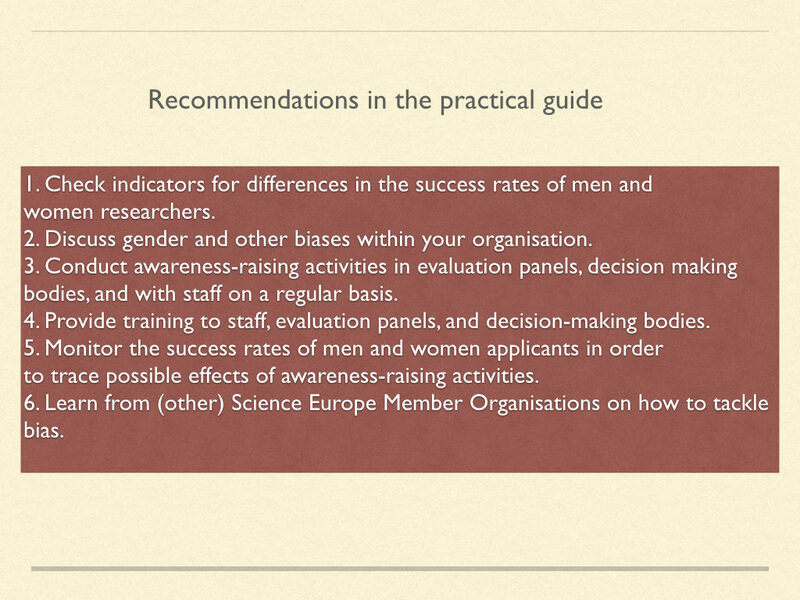 It is a response to a practical guide to improve Gender Equality in Research Organisations. Social priming – does it even exist? In late summer I had the pleasure to talk to Antonia Hamilton. She is Professor of Social Neuroscience and heads a research group at UCL’s Institute of Cognitive Neuroscience. Our conversation was clouded by my dismay at having just come across the assertion that social priming doesn’t exist, when I had cited such effects on numerous occasions in the past. Apparently there had been a string of replication failures. But what Antonia said made me sit up with renewed interest. AH: Social priming certainly can exist! But if you replicate a study and you don’t replicate the results, the important thing is to find out why. 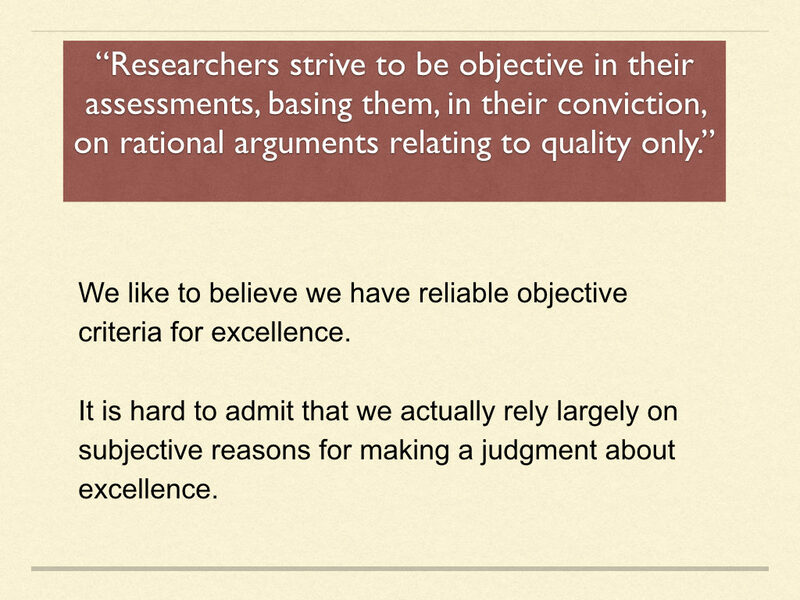 Just saying “We failed to replicate study X” is not good enough. It should be the beginning of an investigation. Yin Wang and I did this by looking at the effects of social priming on mimicry. UF: As far as I remember, the idea originally was that we mimic more when we are primed to feel prosocial. Presumably this is because we are trying to show we are nice people by affiliating with other nice people and do the same as they do. The opposite should be the case with anti-social primes. 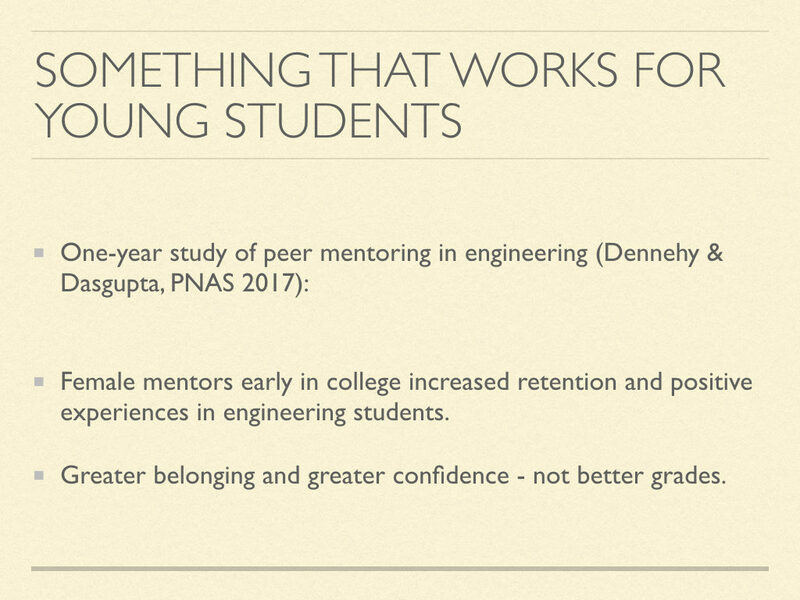 UF: So rather than crying non-replication, you did something extraordinarily constructive. 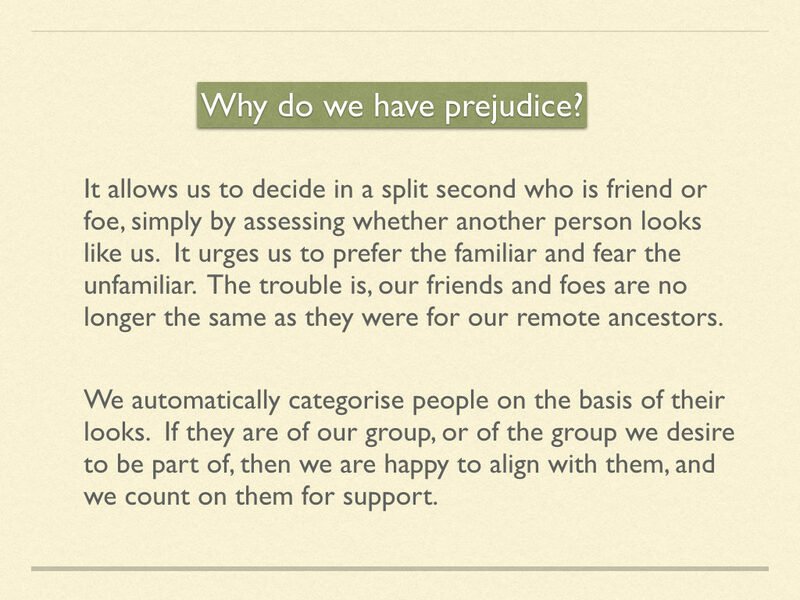 AH: We looked at the literature on social priming and saw that there is a hidden factor. The prime, whether nice or nasty, had to be relevant to the Self. If it was just nice or nasty, this by itself did not lead to the effects originally reported. UF: I see – mimicry is not born from our desire for affiliation, but from our desire to have a good reputation. But how do you make the prime relevant to the Self? Given that priming is supposed to happen at an unconscious level, you can’t just say “pay attention, this is all about you”, can you? AH: Nothing like that! We stuck with a standard task, scrambled sentences, with either pro-social or anti-social content, which you had to complete. In one case the sentence was about other people (3rd person), for instance: “John gives Laura a warm and affectionate hug”, and in the other case it was about you (1st person); “You give Laura a warm and affectionate hug.” For a baseline there was also a neutral non-social version e.g. “A rainbow is made of 7 different colours”. Have a look at the left side of the Figure. Now look at the right side of the Figure. After the slightly effortful task of unscrambling a batch of sentences, there is another task. You have to press a button with either your index or middle finger. If the number 1 appears, you lift your index finger, and if 2 appears you lift your middle finger. At the same time, you observe in the background a video of another person pressing a button. This could either be using the same finger, or a different finger from what you are asked to do. From previous work we know that people are faster when the other person is doing the same movement and slower if it is the opposite. This is a reliable difference in speed and is known as congruency effect. It tells us about the strength of the tendency to mimic another person’s actions. 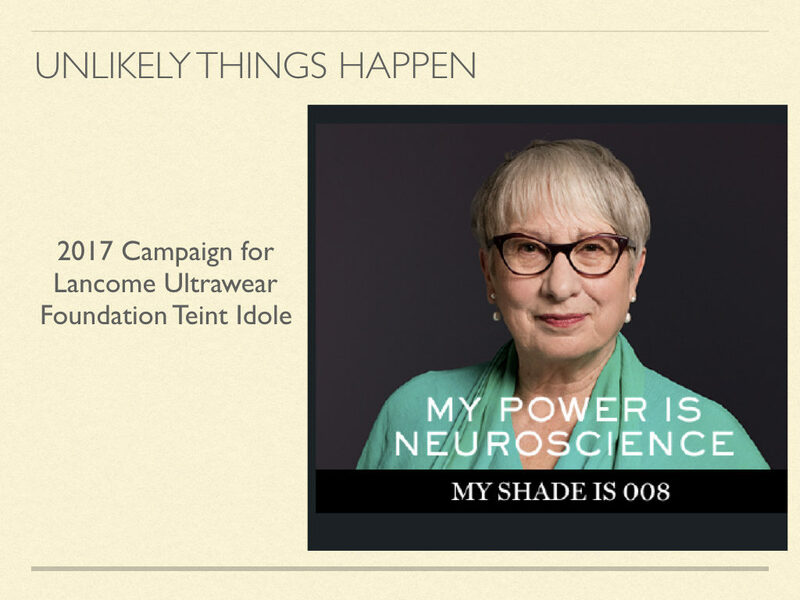 UF: Fiendishly clever! You are using a trusted task, by which you can tell how strongly a person is induced to mimic. The question is, does this depend on the type of social prompt that the person received just before pressing the button? Let’s see the results. AH: As you can see in the figure, it does depend! 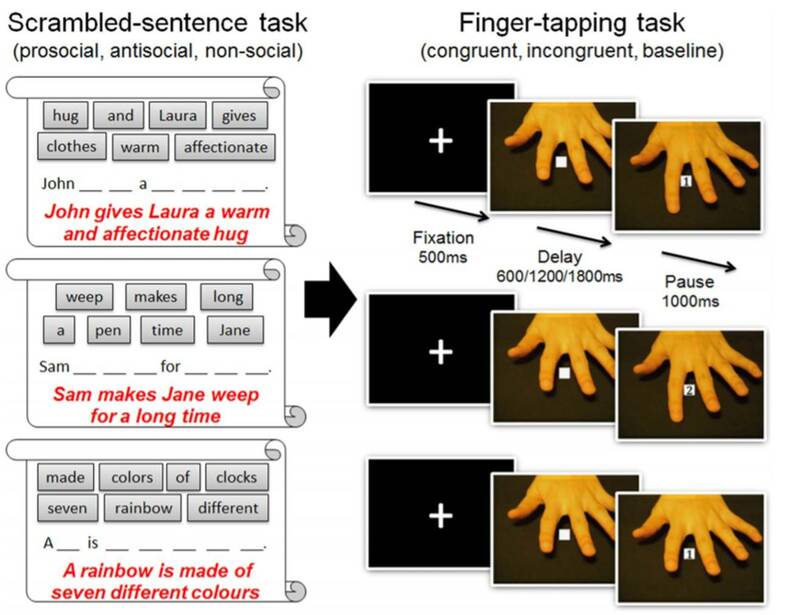 There is a mild congruency effect after the participants have unscrambled and completed non-social sentences (the white bar). 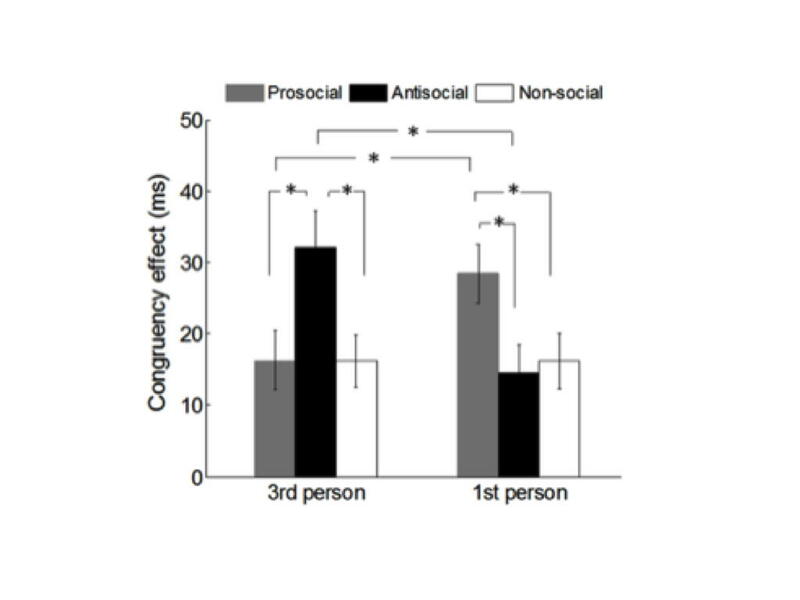 The effect is much stronger after being prompted by antisocial sentences in the 3rd person (the black bar on the left), and after being prompted by prosocial sentences in the 1st person (the grey bar on the right). UF: Amazing that a subtle thing makes such a difference, reversing the congruency effect. AH: We did another experiment where priming was done via cartoons and this had exactly the same effect. You were told that, after you had seen one cartoon, that you had to write down what happened from the point of view of the protagonist (1st person: ‘I am helping …`) or from the point of view of an observer (3rd person: ‘the white sphere is helping …’). The protagonists either helped (prosocial) or hindered someone (antisocial). UF: Let me see if I get this right: social priming is about priming the Self for subsequent action? It is not about affiliation! That hypothesis would have predicted that mimicry is always stronger after prosocial content. AH: The Self priming idea neatly explains a typical failure to replicate. This theory wins over the theory of Goal priming, e.g. affiliation. We mimic when we want to show that we are a nice, trustworthy person, and not like that nasty, anti-social other person. UF: You also put people in the scanner while they did this experiment. What did you find? AH: First, we replicated our behavioural results, which is an important indicator that they are robust. And the brain activity we see is entirely in line with the Self priming theory: we see activity in the medial prefrontal cortex (mPFC) that is known to be concerned with processing Self-relevant information. This is during the finger tapping phase when people are controlling the tendency to mimic. More importantly, we found that activity of this same region in the priming phase of the task, was related to the size of the behavioural priming effect. 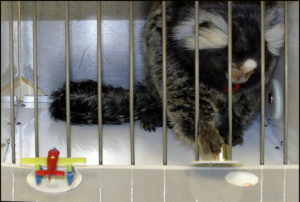 This was true in each participant, and so we can directly link mPFC to the behavioural priming. UF: I can breathe a sigh of relief. Social priming does exist, and we can point to its specific neural basis. A pity that I so quickly became skeptical after reading about non-replications, but maybe this is itself an effect of social priming. What I’m speculating here is this: We have by now heard too often that our favourite effects can’t be replicated. This has put a dent into beliefs that we have held dear, clearly a Self-relevant sentiment. Just thinking of the concept of social priming made me feel dismayed! AH: Maybe… In any case, it is time to get over simpleminded denigrations of social priming. It is far more satisfying to know why a replication has failed and which theory best explains diverging results. Two stories appeared recently in the press. One reported new research suggesting that plants are conscious. The other went further and suggested that everything is conscious including stones and spoons. Of course, these studies are not quite as whacky as their media presentations suggest, but I still think that they are wrong. I am fairly confident that people are conscious and spoons are not. But why do I think this and where should we draw the line between people and spoons. I have previously written about the value of consciousness and what it is for. Hint: I think it’s all about sharing subjective experiences. And this enables us to have better models of the world. I talked to my friend Rosalind Ridley about this. This continues our previous discussions about cognition and consciousness and about evolution. Ros and I agree that an agent is conscious if it is having subjective experiences. But why and how did consciousness evolve? RMR: You’re asking, “what is consciousness for?” But this comprises two types of questions rolled into one. “What is it used for?” and “What evolutionary pressures produced it?” These two questions do not have the same answer. Let’s assume that the precursor to the rich subjective experiences that human beings tell each other about was some tiny cognitive app, selected by evolution because it was useful for some minor thing. Now it turned out to open up all sorts of cognitive possibilities. What something was chosen for initially may not be the same thing as the things it finished up being useful for. A ramekin dish has many culinary uses but its original use, possibly in seventeenth century France, is obscure. It may have evolved from other shapes by being selected for many uses rather than just one. 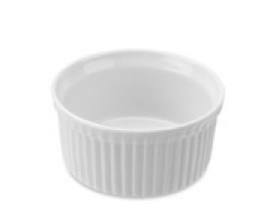 Every time a ramekin dish is used, it is selected; it is moved from the back of the cupboard to the front. In this sense the ramekin dish is ‘for’ everything that it has been and is currently ‘used or’. Its original use may, or may not, be one of its current uses. Evolution works in a similar way to find cognitive uses for minor mental abilities. CDF: So, what is this tiny cognitive app from which our rich conscious experience evolved? It must evolve through some minimal form of consciousness; subjective experience without any possibility of reflecting upon it or reporting it. Wouldn’t this be consciousness without consciousness? Next to the cat, there is a pot of parsley which is also responding to the sun. The stems are leaning towards the sun and the leaves are positioned orthogonally to the sun, maximising photosynthesis and helping the parsley to grow. But is the parsley enjoying the warmth of sun? I doubt it. Plants are not sentient, just sensitive. CDF: But both are responding to the sun. So why do you think that the cat is sentient, but not the parsley? RMR: The cat has eyes, nerves and a brain that have structural and physiological counterparts to those parts of the human body that, if damaged, would result in the loss or alteration of sentient experience in humans. We can even infer that the cat has colour vision that differs from ours because it has a different ratio of rods and cones in its retina. Parsley does not have this type of anatomy or any other plausible sentience-mechanism; so we presume it is not sentient, or at least, we have no reason to suppose that it might be sentient. CDF: But can we rely on anatomy to decide whether a creature is sentient or not? 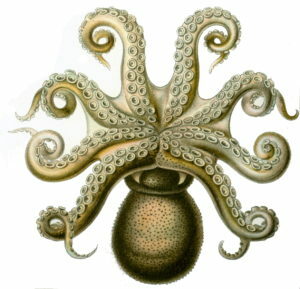 Most people believe that birds and even octopuses are sentient. But they have different brains from mammals. RMR: True, but, unlike plants, they do have brains and eyes and they can move. We can surely agree that there is a big divide between non-sentient, non-moving plants and sentient, moving animals. CDF: Do you think that any creature that can move is sentient? RMR: Sentience and movement may have co-evolved because both contribute to goal-directed behaviour. But invariant reflexive movements need not require sentience and can sometimes be demonstrated in humans without awareness. I think an important boundary comes between two types of modifications of movement patterns, two types of learning: classical conditioning and instrumental learning. Classical conditioning involves involuntary responses. There is no reason to assume that sentience is involved in this. The responses in instrumental learning are voluntary, and I propose that this implies sentience. The animal has to produce a spontaneous action in order to learn about its consequences. CDF: Eva Jablonka and her colleagues reach a very similar conclusion. They suggest that the marker of sentience is the capacity for Unlimited Association Learning. This seems to be very similar to instrumental learning. RMR: Their paper is excitingly splendid. Their evolutionary approach is very productive.Linking the evolution of sentience to reward and claiming that sentience was driven by ‘joyfulness’ is wonderful. Think of the joyful mollusc! CDF: So instrumental learning involves voluntary actions and all sentient creatures can do it. When did this type of learning arise? RMR: A simple example of instrumental learning is the simultaneous two-choice discrimination task and this is my choice for a test of obligatory sentience. I believe goldfish are very good at it. I guess the point when this type of learning – and sentience – first appears, would be somewhere in the primeval pond. even though the position of the knob and the toy aeroplane varies from trial to trial. CDF: I wonder what is it about instrumental learning or Unlimited Association Learning that entails sentience, and indeed subjective experience? RMR: I assume this kind of learning requires making choices about perceptions. Now what are perceptions? You yourself have claimed that perceptions are an internal model of the outside world. Perception is a sentient experience and the experience is in your mind, not out there. So, sentience involves an internal model, rather than the ‘real’ world. An animal that has eyes attached to an image-making brain is making a model of the outside world. It can see; it is sentient. An animal that only has light sensitive cells is not necessarily sentient. CDF: Here is my take on instrumental learning: it involves altering predictions. I come to have a novel expectation of what is going to happen after I press this button. Now here’s the interesting question. If you are responding to a model of the world, rather than directly to sensory stimulation, are you having a subjective experience? Jablonka talks about inputs from the body and the world being ‘mapped’ onto dynamic perception and action models and suggests that this is what is needed for phenomenal consciousness. I wonder if sentience is the second level in a hierarchy of the control of action. At the lowest level there is a direct connection between sensory input and motor output. When sentience emerges in evolution, there is an additional level that involves action being based on a model of the world, rather than on fixed reflexes. This internal model also creates continuity across time and the potential for flexible responding. RMR: I agree. Sentience produces continuity – the ability to join images together over the smallest moments in time. I’m sure most fully sentient animals have a ‘span of apprehension’ and ‘sense of flow of experience’ without necessarily having recollective memories or a concept of ‘then, but not now’. 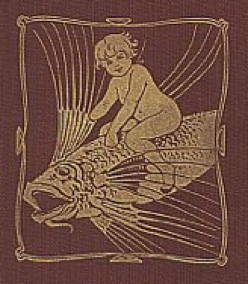 CDF: We agree, a sentient creature perceives the world on the basis of a model of that world. But there is a higher level at which a creature might understand the model as being a model. There was a recent paper from Stan Dehaene and colleagues in which they called this level C2 or self-monitoring: the capacity to reflect on one’s own mental states. The lower level, which they refer to as C1, includes primary representation which we call sentience together with secondary representations, such as recollections of the past (episodic memories) and the ability to imagine alternatives, since these are also subjective experiences. RMR: I think their paper is very clear, but it would have been nice if they had said more about non-mammalian animals – fish, birds, etc. I believe that these animals have sentience but that they can’t think about it. We don’t think about it much most of the time either. I like the idea that any goal directed behaviour involves a decision which benefits from (but is not invariably dependent on) sentience, which would explain why locomotor animals have sentience while plants do not. CDF: I suspect that there are many animals that have sentience, but cannot entertain secondary representations. RMR: Yes, Josef Perner suggests that human infants don’t begin to appreciate secondary representations until the second year of life. I have little difficulty believing that a chimpanzee has intention, expectation, anticipation, prediction, recollection, planning and so on. 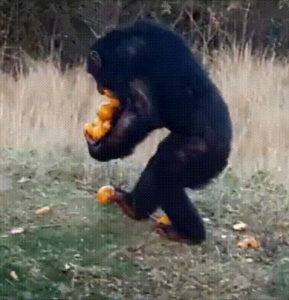 Why else would the chimpanzee be carrying so many oranges, including in his feet. CDF: But what are the advantages of self-monitoring? I guess we now talk about a model of the model, a meta-representation. RMR: I accept that some primates and possibly some other mammals may have some C2 monitoring of C1 events. I think this makes them self-aware i.e. self-conscious. This expands all the possibilities that had been made available by secondary representations. Even if you believe that you are seeing the real world out there, you are in fact savouring your internal experiences generated by inputs from the outside world. CDF: There is the case of visual illusions. Here the model that we experience is not a completely reliable guide to the outside world. But if we have meta-representations and can self-monitor, then we can realise that our subjective experiences may be in error. 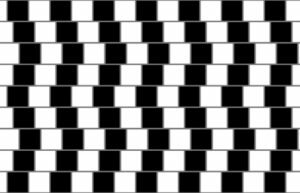 When looking at the café wall illusion I see the horizontal lines as sloping, but I know that they actually all parallel. We can go even further along this line of thought and start worrying about whether your perception of red is the same as my perception of red. RMR: This is thinking about thinking, an inessential, arcane activity beloved of intellectuals. CDF: So, we agree. Parsley is not sentient. Fish probably are. Mammals have some degree of self-awareness. But only humans can think about the subjective experience of ‘wine having an aroma of pencil shavings’. RMR: Yes, and only humans can be so pretentious. Is 25 years a long or a short time in research? Can I still stand by what I said then? I am so used to finding published papers by a simple web search, including my own. So I was surprised when I found no weblink when I tried to tweet about a paper that appeared in 1995 in the Journal of Educational and Child Psychology published by the British Psychological Society. However I found another later paper (2001) also with some images that I wanted to refer to. They form a schematic framework that I developed with John Morton, to help explain neuro-developmental disorders. The story for dyslexia should tell itself if the schematics work at all. However, I will include a few explanations and excerpts from the old paper. The framework allows us to make a distinction between children who are ‘poor readers’ and those who are ‘dyslexic’. 25 years ago a big question mark hung over this distinction. 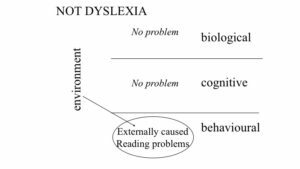 Dyslexia was identified as a reading problem. 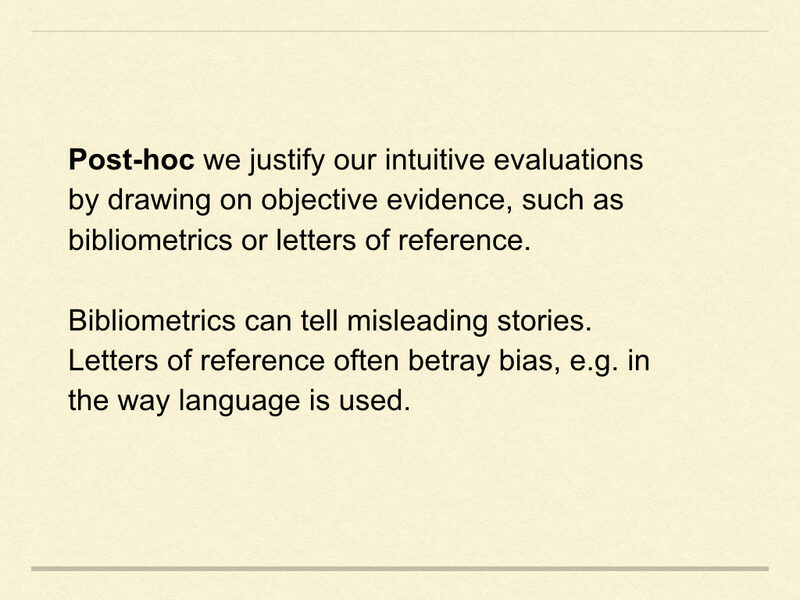 So why not stick with a behavioural description of poor reading , objectively measurable by standard reading tests? Why stigmatise child with a mystery condition? Many teachers and researchers felt this was the right approach. However, I was not convinced. 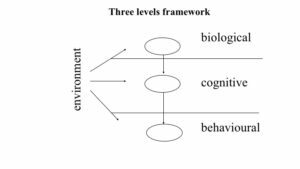 The framework shows that a distinction can be made at the cognitive and biological levels. This means, you can be a poor reader and not dyslexic, if you did not have any proper teaching. On the other hand, you can be a good reader and dyslexic, – if you had a gifted teacher. 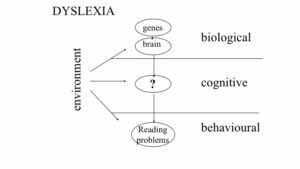 So what is there at the cognitive level that defines dyslexia? Still my favourite explanation is that there is a problem with phonology. 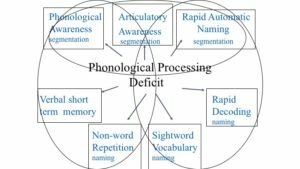 Although phonology still remains underspecified, it is now widely endorsed as a core deficit in dyslexia. Maggie Snowling was one of the pioneers developing this idea, and her book ‘Dyslexia’ remains a classic. Phonology is a concept that belongs to the cognitive level of description. It is a crucial ability for learning the alphabetic principle, where bits of speech sound have to be matched to visual sympols, even though these bits don’t have an objective physical existence. They are natural entities only to those of us who have learned to use the alphabet. Phonology is a cognitive ability that existed well before the alphabet was invented. I imagine it as a gadget prewired in the brain that enables us to process and to produce speech at a fast pace. It allows us to effortlessly segment the stream of speech so that segments can be mapped to letters, syllables and words. Sometimes these segments can get cut off, which gives us the tip of the tongue phenomenon, and sometimes they can be mixed up, which gives us involuntary errors such as spoonerisms. When did I start to believe that phonology is a thing? Perhaps it started long ago when I did some in depth case studies. There were highly able children who had poor phonology and there were not so able children who had relatively good phonology. This kind of dissociation suggests that phonology is a separate cognitive component, which can be faulty in some cases. In principle there could be problems in additional components as well. For example, problems in attention would also affect how well a child learns to read. An attention deficit might result in poor learning in formal school settings, and hence, in result in poor achievements in a whole range of school subjects, including reading. If there was an additional phonological deficit, then this would aggravate the problem. Phonology would be a nebulous concept if there were not a number of behavioural tests that are able to tap it. They are far from ‘pure’, because other factors, such as general ability, attention and motivation, all contribute to test performance,. Hence clinical judgement is always needed to interpret test scores. Still, batteries of phonological tests have proved their worth and are widely used in clinical and educational assessments. Phonology has a basis in the brain. There are now a large number of brain imaging studies to demonstrate this. 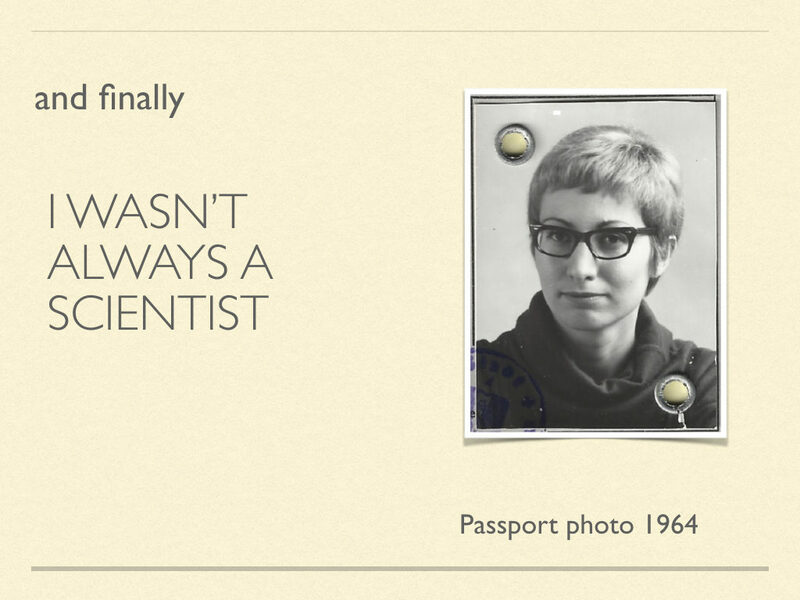 Ours was one of the first, and it used PET scans. 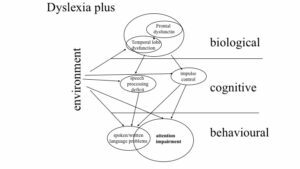 The study tentatively suggested that dyslexic brains showed a disconnection between the language and speech areas of the brain. Interestingly, a recent longitudinal study also suggests a lack of effective brain connectivity in dyslexic readers. 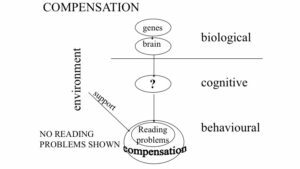 The best overview of the brain regions involved in reading and in different aspects of speech and language can be found in the book Reading in the Brain by Stan Dehaene. Dehaene explores some intriguing hypotheses about the way the brain has adapted itself to processing written language. Here are some more of my speculations from 25 years ago. Dyslexia tells us not only that there is a phonology gadget in the brain but it also tells us what happens if it fails. Some effects can be captured by simple tests as summarised in the figure. Other effects are more insidious. For example, dyslexic children learn words at a slower pace. This means that dyslexic children are doing less well on vocabulary tests compared with same age peers. 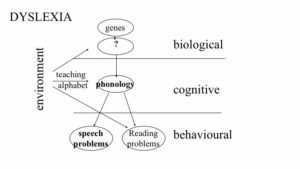 But what is the fault at the brain level that causes a phonological problem? I was proud to lead a group investigating this question in three different European languages. We found a subtle fault in left temporal cortex, pointing to a disconnection between speech processing areas. Later, Eraldo Paulesu went on to ask why should there be this fault at this particular place. Were there anatomical abnormalities in brain structure? Indeed there were. Speculatively, there could have been problems in brain development well before birth. One classic idea, first proposed in the 1970s, is that the anatomical abnormalities are instances of a neuronal migration disorder. During development, cells migrate into their destined layers in the cortex. This is an amazingly complex process and a complex genetic programme is needed for this. It is not surprising that sometimes glitches occur. The hypothesis that cell migration failures affect specific brain areas and result in specific cognitive deficits was further developed by Franck Ramus in a theoretical paper. 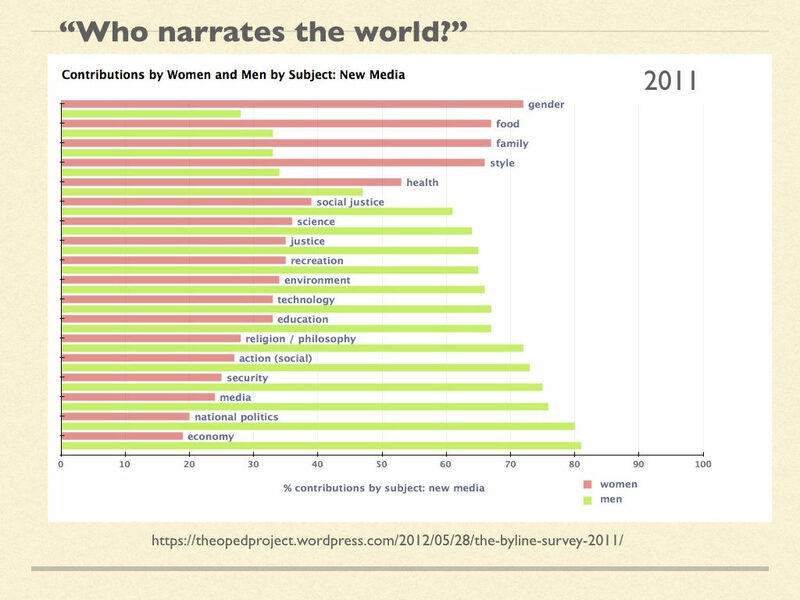 I was gratified to see that he used the Frith-Morton framework to explore this idea. 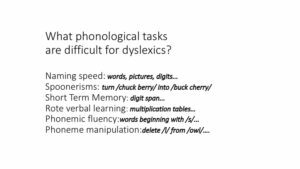 So what can be done to help dyslexic children if they have a problem in a brain system that underpins phonology? Even if nothing can be done at the brain level, plenty can be done at the cognitive and behavioural levels. Learning to read can be done via different strategies. If reading via the normal grapheme-phoneme strategy is not possible, you can use cues to the meaning from the sentence and text, and usually you can get at least the beginning sound of a word. Guessing from context seems to be important for dyslexics and should not be discouraged. Likewise, they should not be forced to read aloud. Spell checkers are a boon. Ideally, learn to read in Italian! In a very transparent writing system, such as Italian, learning to read almost fool proof. In a comparison of English and Italian readers we showed that Italian readers were more accurate and faster than English readers. If the Italian writing system is a therapy for dyslexia, the English writing system is a magnifying glass that makes dyslexia very visible. energy and enthusiasm – because you certainly have these – but also stamina and resilience. Put these ingredients together and you have the typical high-flyer mix. Now at this point if you want to reach the top, you need to start establishing a career. This is the time when you have to develop your nerdy side. This means being obsessive about your ideas and methods, and always going that extra mile. Never mind if others call you workaholic, never mind if not everything goes to plan – your reputation will grow with your achievements and will allow you to shake off everyday trials and tribulations. You need to enjoy growing your reputation, because you can’t really take a rest even if you can be justly proud of your achievements. Instead, it is ever onwards and upwards. Now let’s assume that your biological clock in strange collusion with social pressure from all sides will make you remember that you wanted to have a life as well as a career – and this usually means babies. Because nature programmed us this way, babies are intrinsically rewarding. It is a cliché, but there is a whole new world with intense joys as well as anxieties about a little person who wasn’t there before, and who will, with any luck, but all too soon, become a big person. Can you take a rest now as you are on maternity leave? No way! Your time is no longer your own. Actually, you need to be watchful because nothing is easier than becoming a slave to the charms of a little child, who is actually a tyrant with a round-the-clock need of your love and attention. This is when you need help to preserve your aims and ideals, your commitment to your work and career. So here are some tips. Don’t fall under the evil spell of those who say that your main duty is to your children, and that work should take a back seat. If you let this propaganda get to you, then you will feel guilty, whatever you decide to do. My view is that you can have both, a career and a life, if you make compromises, and yes, cheat a little. Actually, it is not cheating, just sensible management of resources. Just as we don’t feel guilty about not making bread from scratch, so we shouldn’t feel guilty about letting someone else do the cleaning and the bulk of child care. Of course it is a question of cost, but hopefully you will earn enough later on when you are a well respected scientist. But perhaps your salary is not sufficient at the time. This is where it is marvellous to have parents who chip in, physically and financially. But lets not beat about the bush about the key factor in all this, your husband. I hope you have chosen him with extreme care so that you know he will share costs and benefits, worries and joys, on a fifty-fifty basis. Don’t settle for less. Psychopathy is a dark topic and a brave choice for a BBC2 Horizon programme. 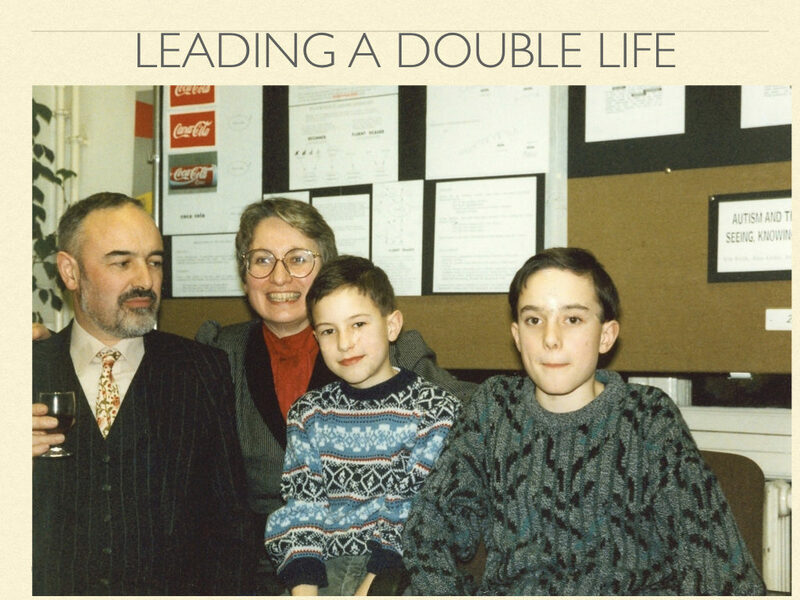 This was to be a serious and not sensationalist account of this complex personality disorder. It is remarkable how often this topic has been aired and how regularly it appears in the movies. Was another documentary needed? Yes, because there is a great deal of new research. We also need to get rid of the entrenched idea that most violent criminals are psychopaths. Director-producer Rebecca Harrison wanted to create a ‘noir’ feeling with a somber visual mood. I loved this idea. I also had to feel brave to be the presenter. This is not a field I am an expert in, but I wanted to learn more, and it was highly satisfying to be able to delve underneath the surface with the help of renowned researchers from different fields*. 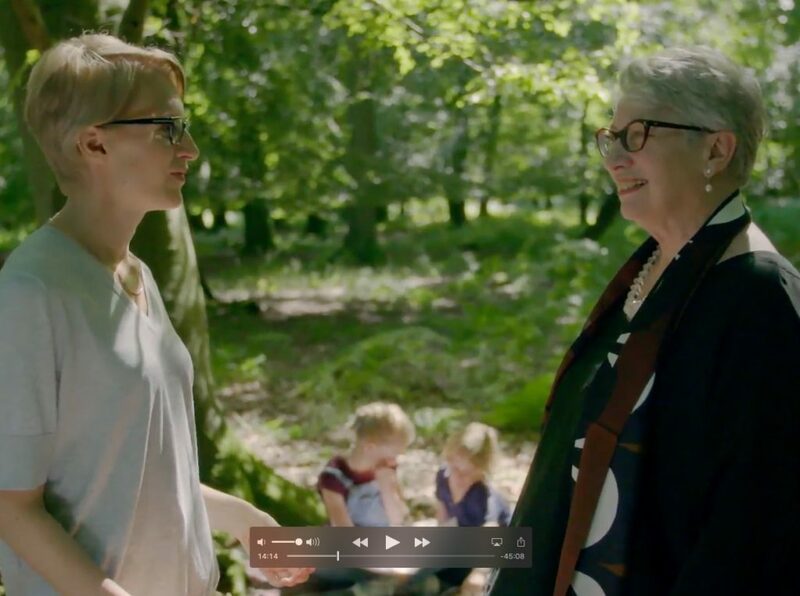 Here I talk to my friend Essi Viding, Professor of Developmental Psychopathology at UCL, whose advice I drew on continuously while making the programme. Essi: I don’t think so. There are now widely agreed diagnostic criteria and you discuss them in the documentary. The documentary also touches on development and that is where I came in. What I am most interested in is what makes some children vulnerable to developing psychopathy. We can identify children who have so called ‘callous and unemotional traits’ and who share features with adult psychopaths. We now know more about the genetic and brain basis of these traits. We also know that not all children with these traits grow up to be adult psychopaths, so that is interesting and challenges us to find the right interventions. Uta: I find it easy to believe that psychopathy is a neuro-developmental disorder just like autism. It took a massive effort to remove the blame from the parents in the case of autism and to get people to understand that these children are different from the start. I feel the same might need to be done for psychopathy. Essi: Psychopathy is indeed a neuro-developmental disorder. Still, these children often grow up with many adverse social factors and this is why people are often keen to draw links with parenting – but it is not that simple. A problematic child can evoke problematic reactions. We need to keep in mind that the majority of the children from adverse social circumstances do not have a callous-unemotional traits, while a few children with loving parents and ample resources do. Uta: Here is what I remember most from my involvement with the film: how different analysing the mind of the psychopath feels from analysing the mind of the person with autism. And yet there is the presumption that both conditions involve a profound failure of emotional development. Essi: There is a glaring difference. Psychopaths excel in something that is lacking in autistic individuals. They have normal or even superior mentalising skills (the ability to track the invisible mental states of others – their desires, intentions, beliefs). It is clear that psychopaths use mentalising to manipulate, deceive and torment others. But there is another social mechanism that seems to have failed in psychopaths – the normally strong desire for affiliation, that is, the wish to belong and to be part of a group. Uta: Interesting! But this desire for affiliation has also been supposed to be missing in autism! Essi: I think we both agree that this is absolutely not true for most individuals on the autism spectrum. There are too many observations that testify to empathy and a desire for inclusion. Also there is evidence from empirical studies documenting the ability to resonate with other people’s emotions in autism. Uta: So, simply put, mentalising failure captures autism, and failure to affiliate emotionally captures psychopathy? 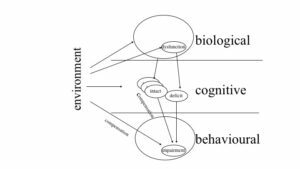 But what is affiliation – and what cognitive mechanism would support it? Does it have to do with our liability to be infected by the behaviour of others? Essi: We can think of it as a primitive capacity to resonate with others. Presumably it has its origin way back in our evolutionary history and is probably found in all group living animals. Affiliation gives us positive feelings of belonging to a tribe or a fan club. It imparts the meaning we find in identity and in loyalty. Uta: I take we agree that the mechanisms that underlie ancient components of our social nature must have a basis in the brain. So it is conceivable that abnormal brain development might interrupt affiliation? Essi: There is a lot of excellent work from multiple research groups that has shown difficulty in resonating with other people’s distress in psychopathy. There is less work looking at positive affiliation, but it is something that my group and others are really interested to look at more closely. We want to know if cues that are known to support social cohesion and belonging, such as genuine laughter, are processed in a different way in children at risk of developing psychopathy. Laughter is one of the most contagious emotions. We join in when we hear genuine laughter and laughter is thought to promote bonding between individuals. There is reason to believe that processing of laughter is compromised in children at risk of developing psychopathy – you have to watch this space, as the study will only be out later this autumn. Uta: We tend to hold on to other people when we feel fearful, and this seems to lessen our fear. Do you think that psychopaths in similar circumstances would not experience such benefits of affiliation? Essi: That is an interesting suggestion. We would need to test it out. Some data suggest that individuals with psychopathy experience less fear themselves. If this is the case, they may need less support from others and that might reduce the motivational drive to affiliate. Uta: I remember asking you before whether psychopaths can be found among gang leaders and mafia bosses, whether they can be particularly brave soldiers. You had some interesting arguments against this idea. Essi: I think there probably are some who have high levels of psychopathic traits. These might be the ones who are highly narcissistic and shamelessly use others, without ever returning loyalty in any way. Psychopaths can happily dispense of other people the minute they cease to be useful. They don’t have regret. The suffering of others means very little to them. But I am not sure whether such individuals would make the most successful gang leaders, mafia bosses or soldiers. They are not team players. One of the hallmarks of psychopathy is that they tend to act in line with purely selfish urges. This is often not compatible with the best interests of the team. Uta: I am still hoping to find the ‘good’ psychopath, untrammelled by emotions and with strictly utilitarian morality, but law abiding. Could it be that in times of extreme conflict and crisis it is the psychopath who can save the group? By carrying out the unspeakable deeds that nobody else would be prepared to perform? Essi: I wonder why would they bother? I think doing a heroic deed would still require buying into ideology, putting yourself into danger or discomfort for others. These people do not typically do this. 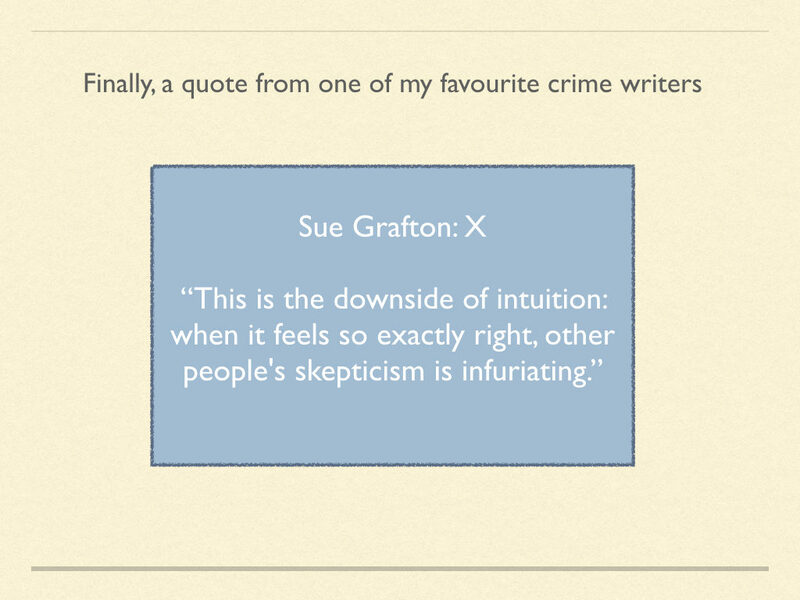 Uta: For me, the bleak insight from making the programme is that we don’t know how to change psychopaths. Will they ever be able to feel genuine remorse, empathy and belonging? Essi: Changing ingrained emotional traits is very difficult. There is an example of a study of individuals with anxiety. In contrast to psychopaths they feel and worry a lot. There are interventions that help individuals with anxiety, but they will never become the most chilled out people on the planet. And these are individuals who feel so rotten that they have a huge motivation to change how they feel! Psychopaths don’t feel bad themselves, so it will be harder to achieve motivation to change for them and the extent to which they can ever feel for and with others is going to be limited. On the other hand, I am confident that we can change their behaviour! As shown in the documentary, there are some promising treatment approaches with young people. One important insight is that psychopaths do not learn well from punishment, but they can learn from rewards. In other words, we can capitalise on their desire to look after number one. That can be used to promote prosocial behaviour. It is something I would like to work on in the future. I hope that we might eventually be able to put the moral development and social behaviour on the right track from an early age. This is worth striving for on behalf of children at risk of developing psychopathy and their families. Kent Kiehl, Jeremy Coid, Gregory van Rybroek, Molly Crockett, Scott Lilienfeld. I was fortunate also to draw on advice from James Blair and Estelle Moore. If you want to read one book, Kent Kiehl’s The Psychopath Whisperer: The Science of those without Conscience is fascinating. 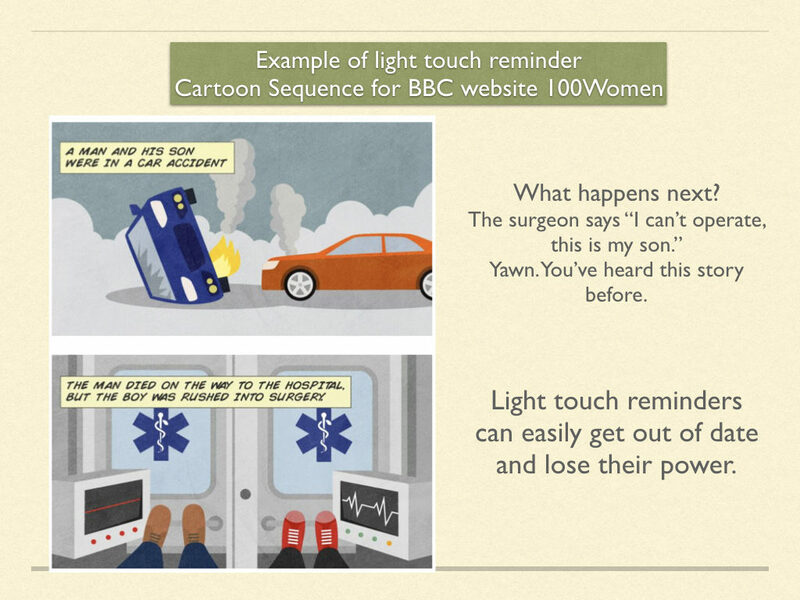 There is also an excellent short BBC iwonder guide by Claudia Hammond on the topic. 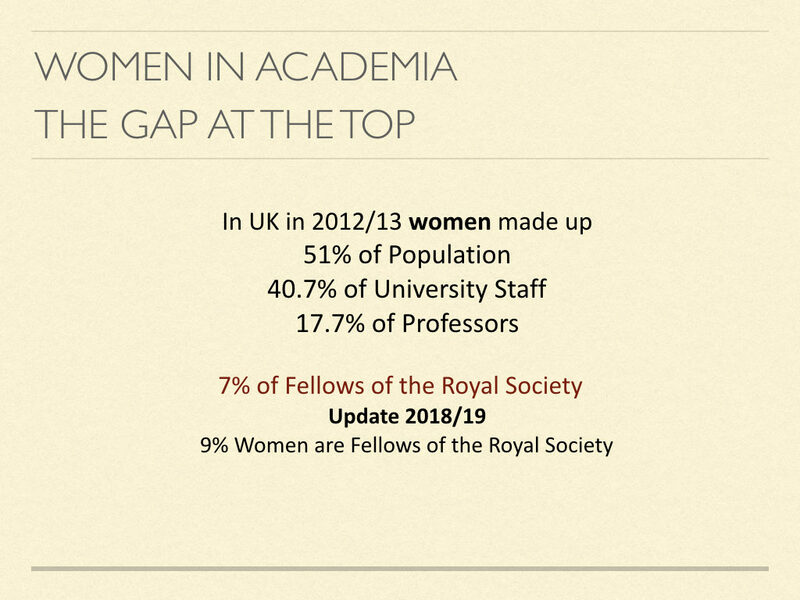 Uta: As chair of the Royal Society’s Diversity Committee I have struggled with communicating the biases that enter into decisions made by selection committees. 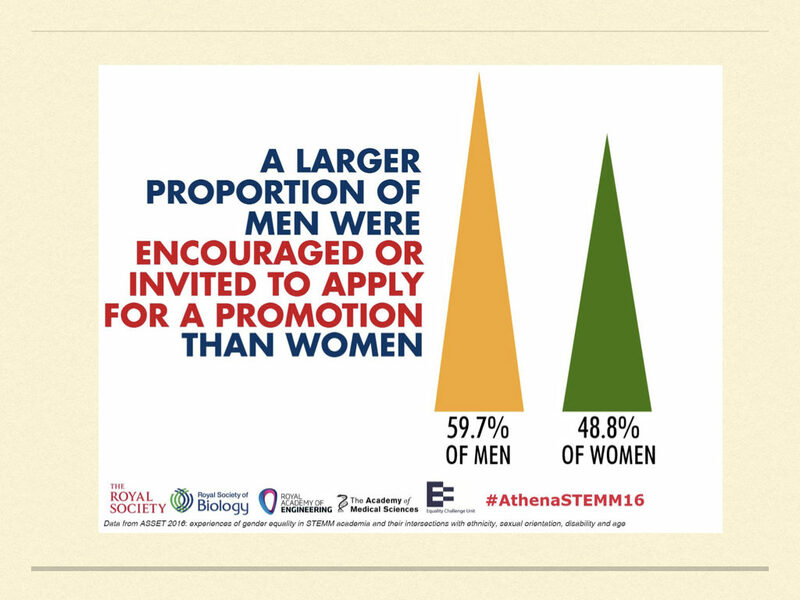 There is a strong commitment to increase diversity at the Royal Society at all levels, but nothing convinces scientists more than evidence. So it seemed a good idea to collect evidence on how group decisions are made. Not being a specialist in this area myself, I pleaded with Dan Bang and Chris Frith to write a review, and here I am asking them about what they found. The review has taken over a year and refers to 203 publications. It just appeared in the Royal Society journal Open Science. Dan, was this the first ever comprehensive review of the literature on decision-making in groups? There are other excellent reviews which we refer to in our paper, but I think ours is the first to draw on computational modelling of decision-making, and to bring together findings from economics, psychology and cognitive neuroscience. Uta: For some reason the question of how we make decisions has always been of great interest to experimental psychologists. Why? For experimental psychologists decision-making is a very useful framework for studying all kinds of cognitive processes, particularly those we are not aware of. For example, my perception of the letter A is a decision because I choose this interpretation of what I see instead of any other, such as the number 4. So, decision-making is something we do all the time but are usually unaware of. Uta: Why has there been a recent upsurge in studies on decision-making? I think this is due to developments in computational modelling. Computational models allow us to break decision-making down into its component processes, generate predictions for what happens if we tweak one of the processes, and for understanding exactly where decision-making goes wrong or right. I like to think that experimental psychologists have gotten over their fear of maths and have begun to realise what computational approaches can offer. Your favoured model is Bayesian Decision Theory (BDT). Can you explain what this is, briefly? BDT describes how to make optimal decisions in an uncertain world. A key aspect is the integration of past experience (prior beliefs) and new evidence (likelihood). It turns out that many decisions, whether made by individuals or in groups, go wrong because of excessive reliance either on past experience or on new evidence. Is there a mathematical formula telling you how to make a good decision? BDT provides the formulas for finding the best action. But the calculations required are often intractable, or too complex and time consuming, to be useful in practice. We can think of the task of finding the best action as one of finding the highest peak in a hilly landscape. BDT requires that you know the contours of the entire landscape. An alternative ‘quick and dirty’ strategy is to visit just a few different points in the landscape; this is often sufficient to get a good idea of where the peak might be. This strategy is called sampling. We can sample from our memories of past actions; we can sample from the internet; we can read about the goodness of some of the most obvious actions; we can ask our friends for advice. When is the right time to make a decision? Somehow you have to recognise whether you have enough knowledge to make a good decision. Do I have taken enough samples or should I take more? If I stop sampling, I may miss a higher peak. If I go on sampling too long, my decision may come too late. Uta: In the figure, we see a schematic landscape with different peaks and we see people who are ‘explorers’ or ‘exploiters’. I believe this distinction comes from the study of foraging behaviour in animals. If I know where apples are to be found, I exploit this knowledge by going to that tree. But eventually all the apples will have been eaten, and I need to explore to find a new tree. How does this play out in group decision-making? Explorers and exploiters point us towards the advantages of group decision-making over individual decision-making. In many animals, such as honeybees, there are individual differences in the drive to explore or to exploit. Most bees in the hive are exploiters who go where they know that nectar bas been found. But about 4% are explorers (scouts) who look for new sources of nectar. The scouts can guide others to new sources of food. Among humans, it is perhaps the risk takers and sensation seekers who are the equivalent of these scouts. Chris, since this is our ” socialminds” blog, can you explain in what way group decision-making is part of the social mind? Are there processes that you identified that are specifically social, rather than general cognitive processes? The special social feature of group decision-making is that members of the group interact with one another. 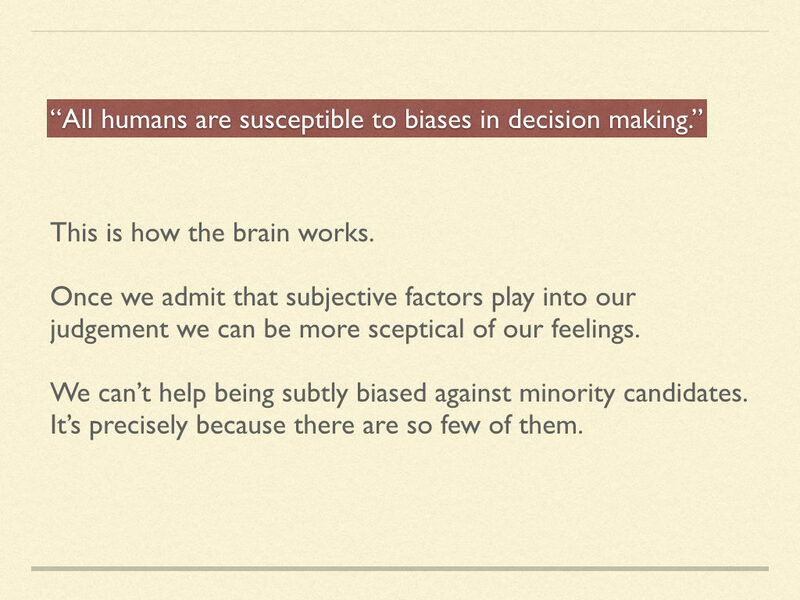 For example, we are typically unaware of our own biases, but very sensitive to those of others. 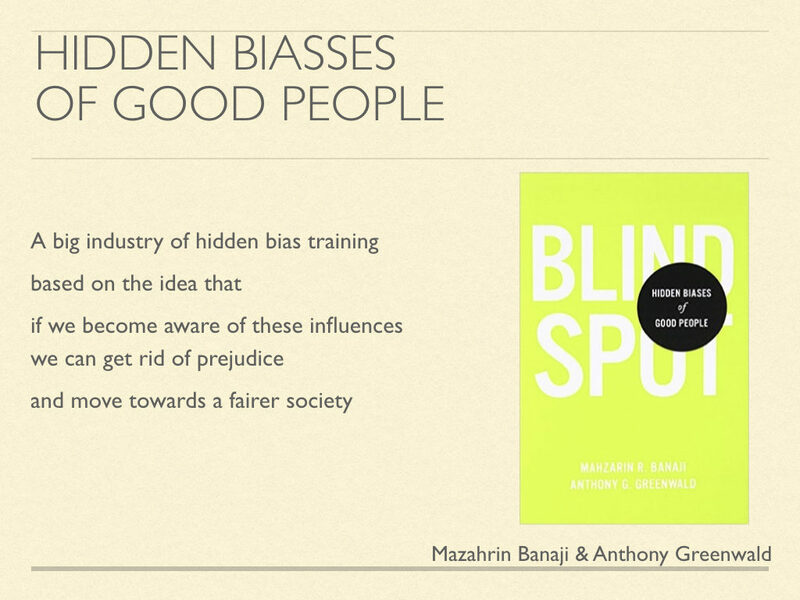 By interacting with others we can discover our biases and try to overcome them. 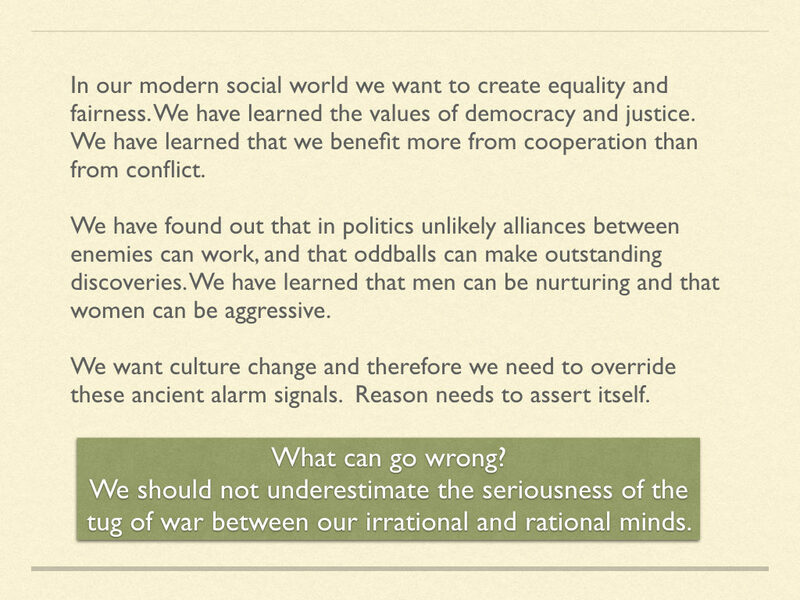 We prefer to justify our own immediate solution to a problem rather than considering other options. When we interact with others we may be forced to consider these other options. Is there a downside to group discussions? 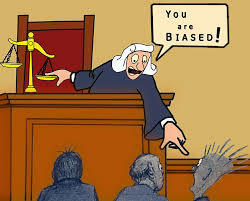 One example is that the biases of one individual might spread through the whole group. Another problem can occur with perceived confidence. When people make decision together, they will often discuss how confident they are in their choice. In many cases, better decisions will be made when the solution of the more confident person is chosen. 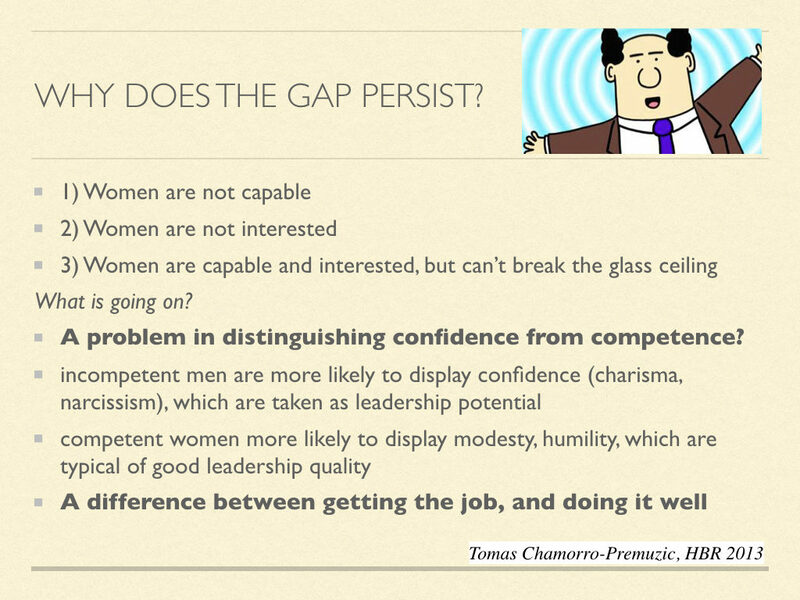 This is because confidence correlates with competence. But there are exceptions. Group decisions might be dominated by a vociferous and confident individual who is also incompetent. Dan, what do we know now from the research that you reviewed that we didn’t know before? Was there a finding that surprised you? Is it all common sense, really? Well, common sense is always easier to spot in hindsight! What we have tried to do is to provide an evidence base for common sense. I think the most surprising challenge for decision-makers is living with and accepting uncertainty. We hate uncertainty. So, even if you make the optimal decision, you still may not get a good result. Then, it’s easy to say: oh, I shouldn’t have taken this particular action, but the other action. But this is hindsight bias! Actually, given what you knew at the time, you did take the best action. On the other hand, you might sometimes be lucky: you made a poor choice, but through random luck, there was a good outcome. In this case, you might fool yourself into thinking that you actually took the best action and receive praise from your colleagues. So it was a new insight that choice and outcome have to be kept separate? Are there any practical implications? Indeed – I think that innovation and exploration is often discouraged because people focus too much on outcomes. Especially in groups, people are too afraid to get it wrong. This is because they know they’ll be evaluated on outcome, and not on a careful consideration of the grounds for their choice. This is one important reason why groups tend to stick with business as usual. We feel much more regret after making an unusual choice that turns out to be wrong. When doing business as usual, others can’t point the finger at us. Chris, what ideas are ripe for exploring further? What is the next question that the review urges to be studied? We need to learn more about the role of group leaders. 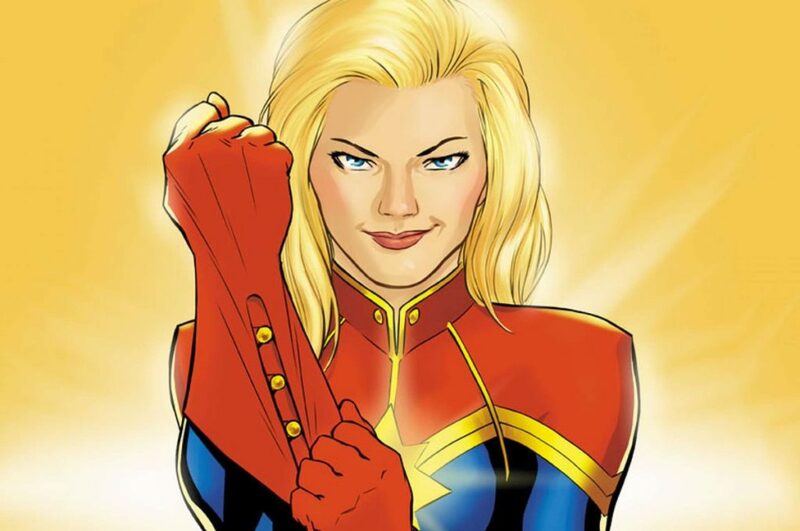 We can think of a group of people with different areas of expertise as a super-brain. The group members are like populations of neurons which perform different functions, but whose output is brought together to make sense of the world. The brain has solved the problem of competition for influence and relies on a central executive system to coordinate information processing. Group leaders need to emulate such an executive system to overcome some of the dangers associated with group decision-making. Here are some practical examples: applying the rule that each member can only speak for a fixed amount of time. Another is pointing out bias where it occurs. Uta: Here is a puzzle for me. Equality bias is one of the causes you identified as potentially leading to poor decision-making in groups. Do we really assume that all members of our committee are equally good at decision-making? If we have such a bias, how does this square with our irrational tendency to feel that we are better drivers/teachers/parents than other people. Why has it not helped us towards more diversity? Equality bias means that equal weight is given to all opinions. It is part of the more general belief that others are more similar to us than they really are. Since not all group members are of equal competence, the bias results in too much weight being given to the opinions of less competent members of the group. If anything, this bias should work in favour of diversity. The difficulty for achieving diversity arises because we feel much more comfortable with people who are really like ourselves. Our shared expectations make them easier to communicate with. But this does not necessarily lead us to make better decisions than we would have made by ourselves. 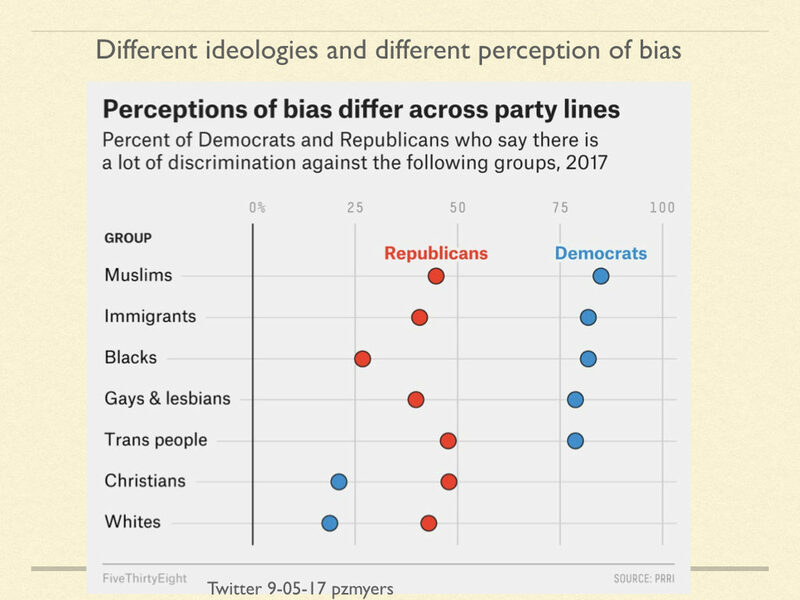 Uta: I am just speculating, but this equality bias makes me think that if we believe, rather egocentrically, that others are more similar to us than they really are, then we get an unpleasant jolt when we notice the discrepancy between assumed and actual similarities. 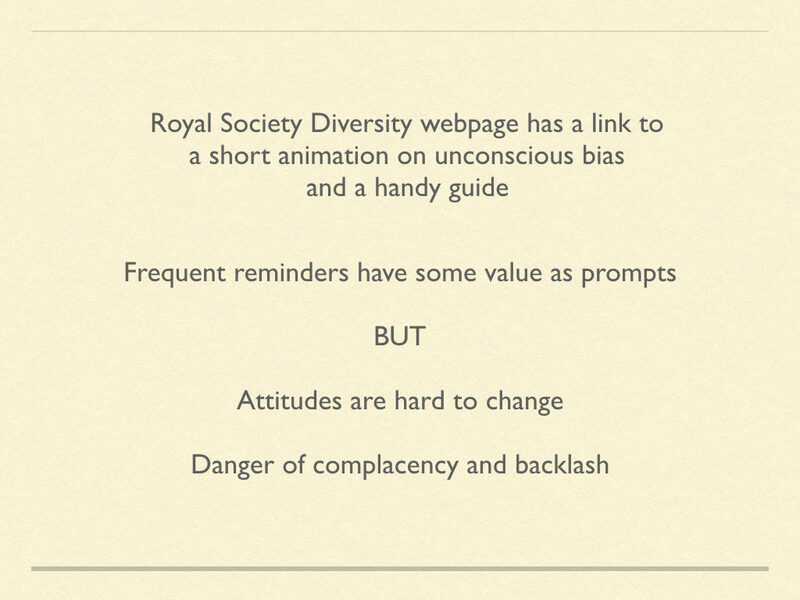 However, the discomfort is worth it when it leads to better decision-making by pooling diverse opinions. Dan, are you convinced by your review that groups really make better decisions than individuals? Yes, absolutely. We discuss many benefits in the paper: more accurate knowledge from pooling of knowledge, better inferences from pooling cognitive resources, better coverage of hypothesis space from mix of exploiters and explorers. But checks and balances must be in place for groups to work. Uta: What are the hottest recommendations for this committee’s work? One new idea that is gaining strength is the use of lotteries in decision-making. When choosing which projects to support it is usually easy to pick out the good ones and the bad ones. But there will always be a middle range of equally good projects, only some of which can be supported. Selection at this stage could be done by a lottery. 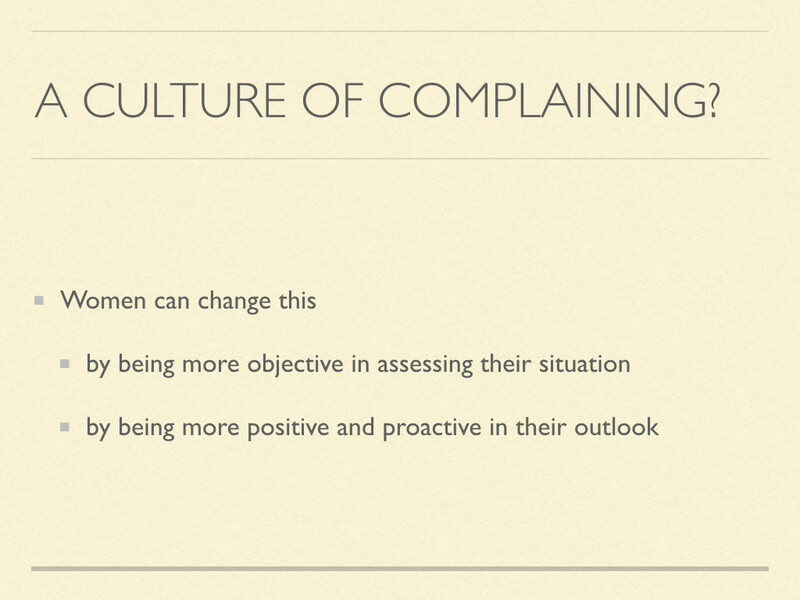 This would eliminate the effects of unconscious biases and would eliminate a lot of fruitless discussion. Uta: The whole point of the review was to give evidence-based recommendations so that selection committees and panels can make better decisions. Therefore, I’m listing some of them here. Strive for diversity among group members, both in terms of expertise and background. This will allow you to explore the full hypothesis space and avoid narrowing of ideas. Don’t be afraid to weight opinions. Give more weight to the opinion that is based on better knowledge. Be sensitive to differences in expressed confidence. 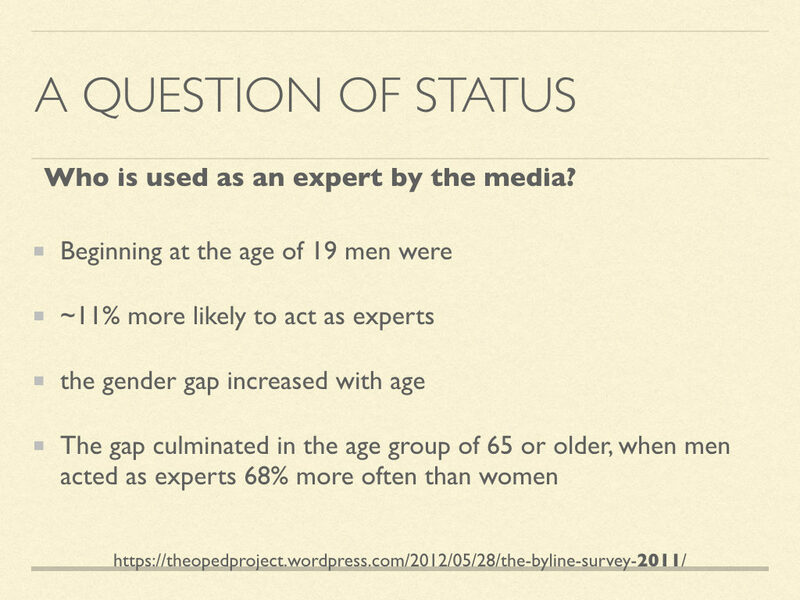 Talking time rarely correlates with expertise. Consider allocating a fixed speaking time to each member and enforcing a no-interruption rule, the latter benefitting people who have minority views, or who are in a minority. Ensure independence of opinions. For example, do not express a preference for candidates before everyone has discussed them. Opinions are subject to contagion effects. 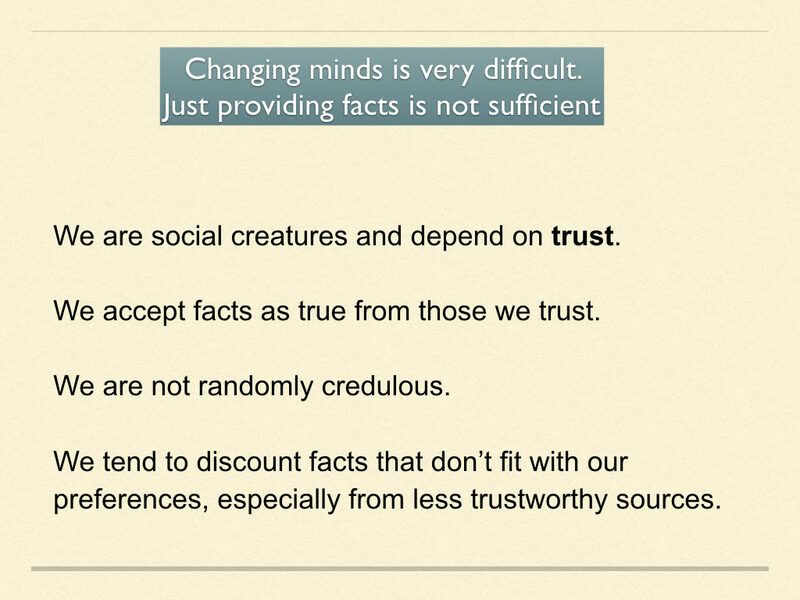 Avoid shared information bias. Do not focus discussion on information that everybody is familiar with, such as track record. Sometimes only one member has pertinent information. They may not reveal it as they assume others know too. Balance exploration and exploitation. Business as usual is not always the best decision. Changes can be beneficial even though there is risk attached. Appoint a meta-champion who keeps a check on process, is aware of the pitfalls and can point out common biases. Promoting independence among opinions is probably the most helpful service that the champion can provide. Before you cry out “quota? 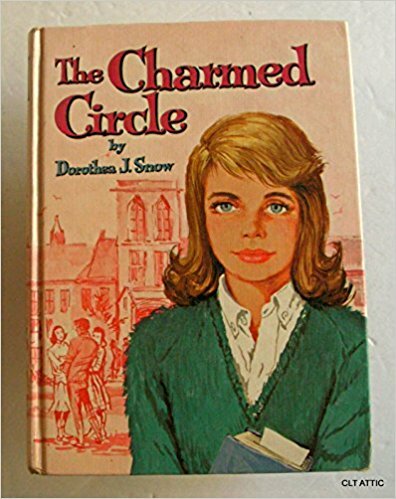 – no way!” imagine you have the power to decide which of the wonderful girls in the Genius school can enter the charmed circle. Your first impulse might be to select students who are most like the existing members of the circle, the prototypical candidate. On second thoughts, you might wonder which talents and skills the circle is currently missing out on. It is obvious that a diversity of skills would be most advantageous for its future projects and adventures. Selection is a stressful task, because, if you selected the wrong student, the circle will weaken. At the same time your reputation as a shrewd selector would suffer. 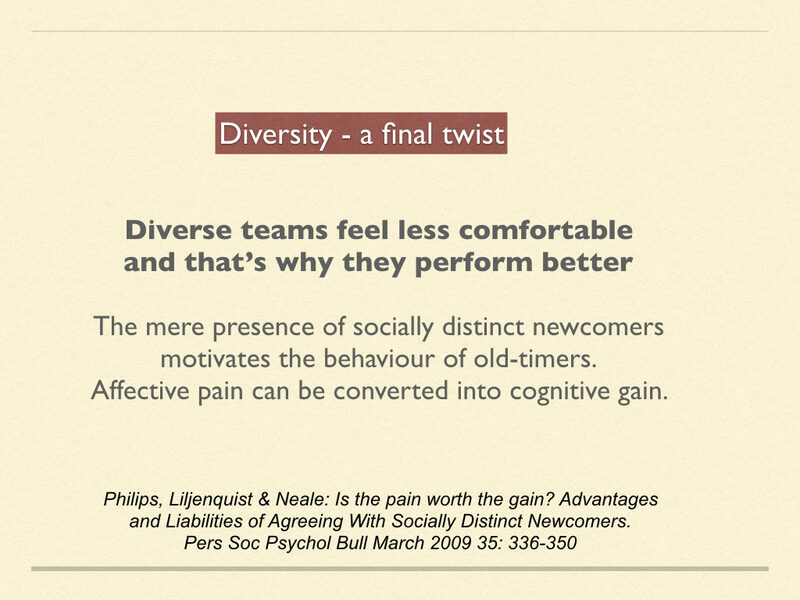 Increasing diversity is not easy and the previous post mentions some of the hidden biases that make it an uphill struggle. But we should not feel defensive about this. Remember, our social brain is processing vast amounts of information in split seconds and therefore has short cuts and preference settings. These lead us straight back into the same old choices. If we want greater diversity, we need to interrupt this processing flow. There would never be any change if we didn’t. 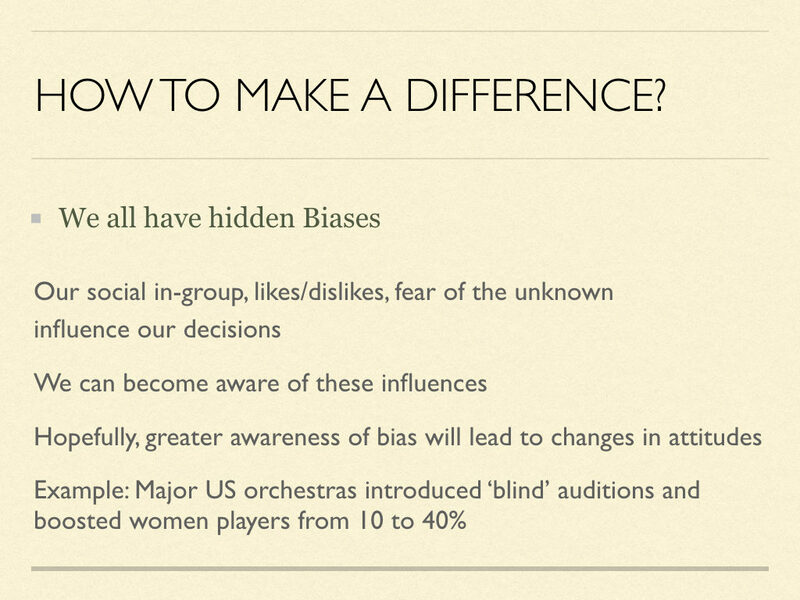 To become aware of hidden biases is one way to achieve this, but setting quota could be a better way. With the charmed circle at Genius school it would make sense to have a quota for missing skills. You could also insist on a quota for boys, in case the school decides to become co-ed in the future. With modern selection panels the same applies. Under-represented minorities have special skills and preferences that go to waste because they are not in the circle. What’s sad is that the existing members may not even realise that this is their loss. Quota, in theory, can easily be applied, as long as there is a pool of excellent candidates. But there is a snag. In selection for excellence, who would like to think that the reason they were selected was because of quota? 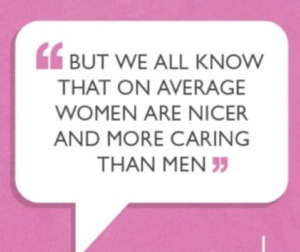 This is not exactly bolstering their self-esteem! It is also a reason for feeling denigrated if you are not selected. Some will feel that they should have been selected by rights, but did not have the required minority status. Everyone will feel demeaned. The situation changes when we take into account the size of the charmed circle. If there is only one winner, quota setting will probably not work. But it can work well, when more candidates have to be attracted. For instance, setting a quota for boys when the school becomes co-ed. New people with different ideas and different skills can be selected as soon as a quota is adopted. Quota here is strictly for the purpose of building capacity. It says ‘we are open for you – even though we weren’t open to you before – please apply’. It follows that my personal view on quota is twofold: At this point I would probably not endorse quota when the selection is about giving rare awards. In contrast, I would endorse quota when the selection is about capacity building. The most likely scenario here is that there are many candidates and the number of awardees is somewhat flexible. This is different from the typical scenario of rare awards. When there are many excellent candidates, but, for whatever reason their names did not come to mind and they were not put forward, then a strong case for quota can be made. One practical move adopted by some learned societies is to add placeholders for individuals from a desired group (e.g. underrepresented minorities) without touching the historical annual quota for new members. This is capacity building because it means that additional members can be elected as long as they are from an underrepresented group. Clever. Nobody loses, and the institution wins praise for its willingness to change. Even if there are no set quota, beware that as a selector, you will get eggs thrown at you if you systematically exclude minority members. 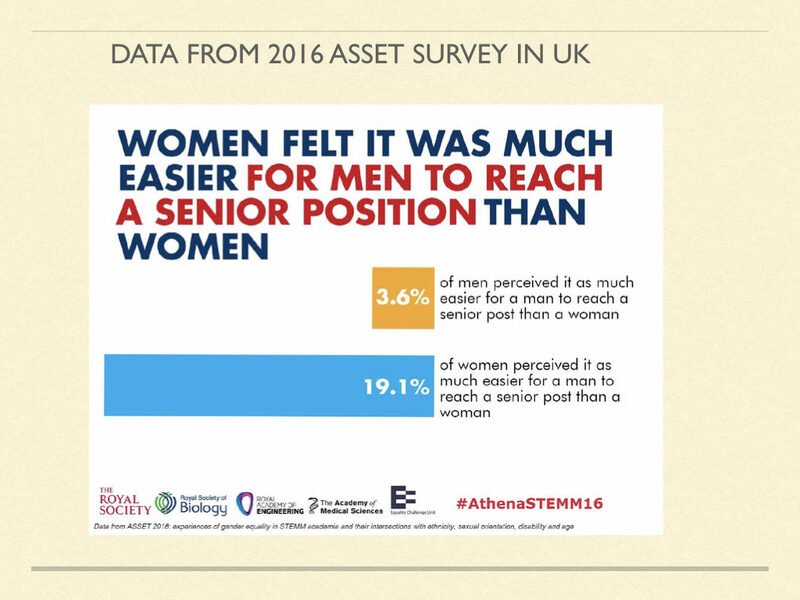 There has been a “softly, softly” approach that avoids setting quota but strives for gender balance, and this has been quite successful in many areas, where charmed circles have been broken into. 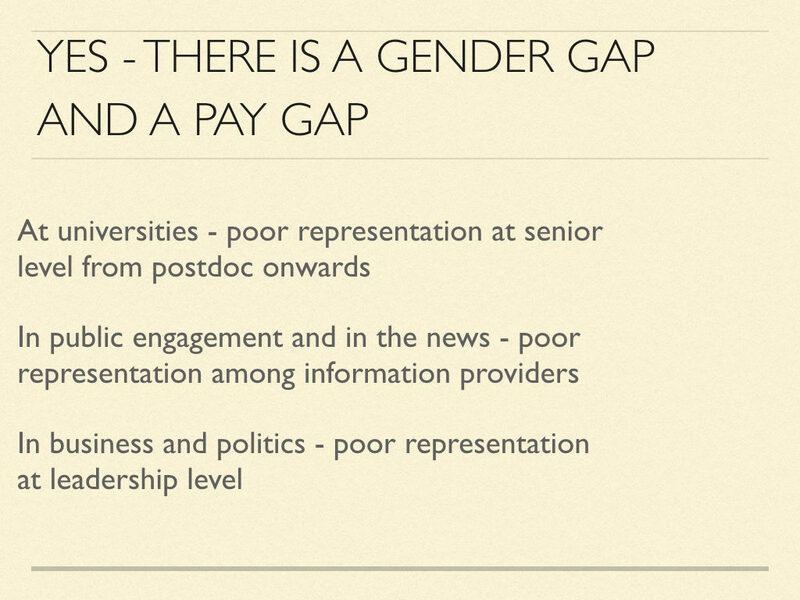 Speaker lists at conferences that do not have a reasonable proportion of women are rightly condemned. Academies whose membership remains stubbornly ‘senior white male’ have come in for criticism and even derision. Reputation is tied in with the willingness to modernise, not with continuing old traditions. Fortunately, the desire for a good reputation is such a strong motivation that changes in selection practice follow of their own accord even without the formal need to set quota. Instead of making impossibly difficult decisions, why not choose by lottery? This can make sense when the candidates are of equal merit, and in this case, a lottery is the one tool we have to definitely rule out any hidden bias. 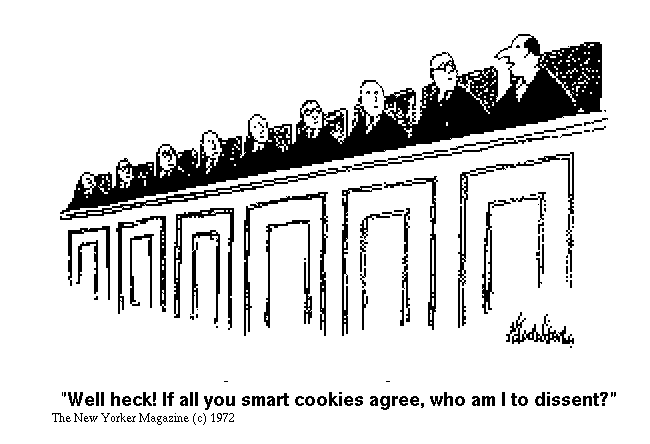 Juries in civil and criminal courts are selected randomly as a first step in the process. City states and universities have employed lottery procedures (also known as sortition) with the effect of minimising corruption and avoiding conflict. Famous examples include Athens, Venice and Basel. In these historical cases governing elites opened up to individual newcomers, but avoided being taken over chaotically. In addition, if an individual was rejected by lottery their honour was protected. As a candidate, how would you feel? 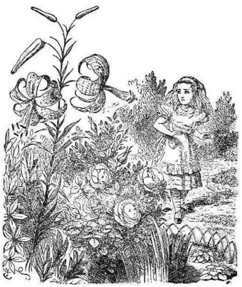 If you are selected you will feel lucky, but you should not feel big-headed; if your are not selected, you will feel unlucky, but should not feel disparaged. As a selector you would probably feel confused! Your job after all is to discriminate between candidates – the very opposite of leaving selection to chance. UsIng chance seems like abandoning reasoned argument. But sometimes comparisons between candidates are impossibly difficult. Here, bias is likely to gain the upper hand. The trigger-happy unconscious mind will always nudge the dithering conscious mind. Post-hoc justification of intuitive choices is not a triumph of reason. Here again there is a practical move, already adopted experimentally by some funders of grant applications: a lottery element is used as part of the usual procedure of discussion among panel members. Panels often agree on their top candidates who clearly stand out from the rest. They also usually agree on candidates who are not competitive. This leaves a middle field where there is less certainty. Through discussion consensus can sometimes be reached which allows separating the stronger from the weaker cases in this middle field. But there is often not enough funding for all the strong candidates, and those just below the top tier will be the subject of much discussion which leaves selectors often uneasy about their final choices. This is where a lottery could be the tool we have been waiting for. It is the one tool we have to avoid bias and guarantee fairness. Fine-tuned balancing scales are a beautiful thing. We can find out with great accuracy which of two objects is heavier. We’d like our mind to have just such a device when we have to evaluate the merit of different individuals. Then we could make fair decisions about which grant proposals should be funded, and where prizes should be awarded. 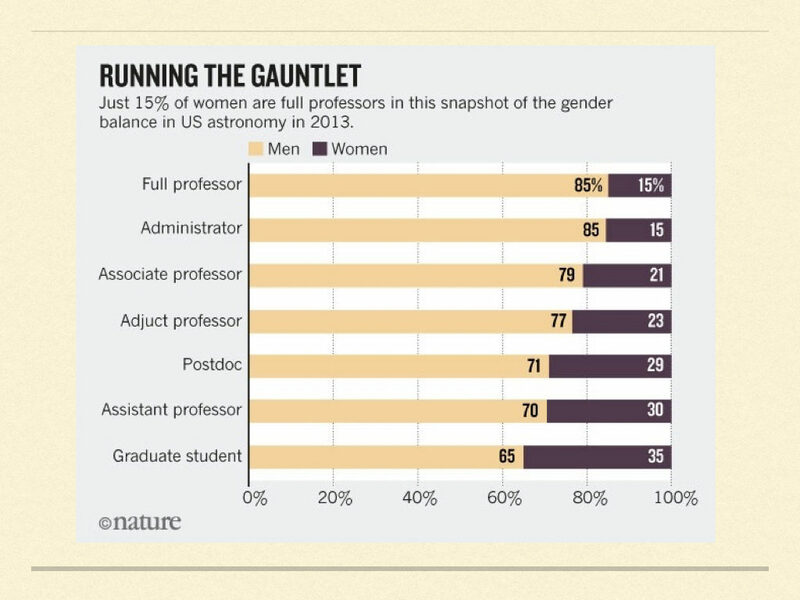 But, alas, we have no objective scales to measure differences in merit. 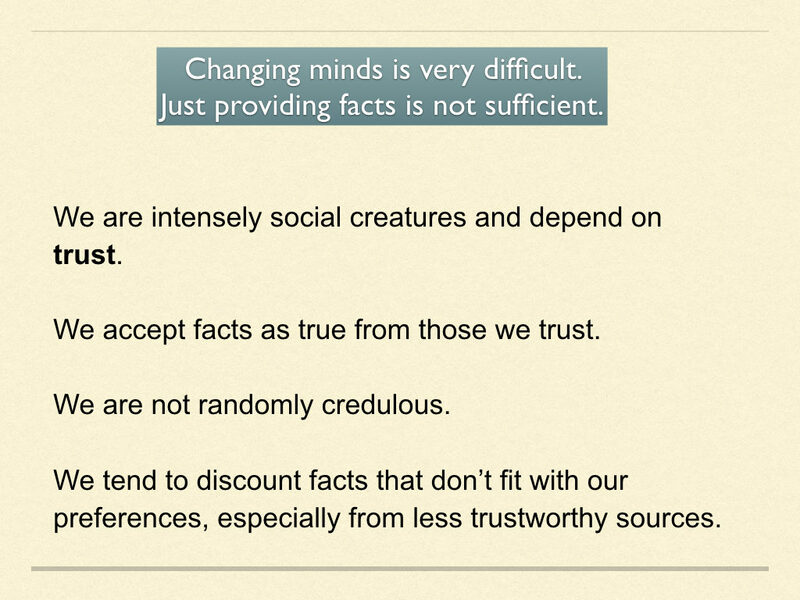 Instead we have clunky subjective scales that operate with distinct biases. Are we really unable to select for excellence on meritocratic grounds – pure achievement, as opposed to wealth or position? We like to believe we can, and we have set up thousands of selection panels and prize juries on the basis of this belief. But doubts are creeping in. 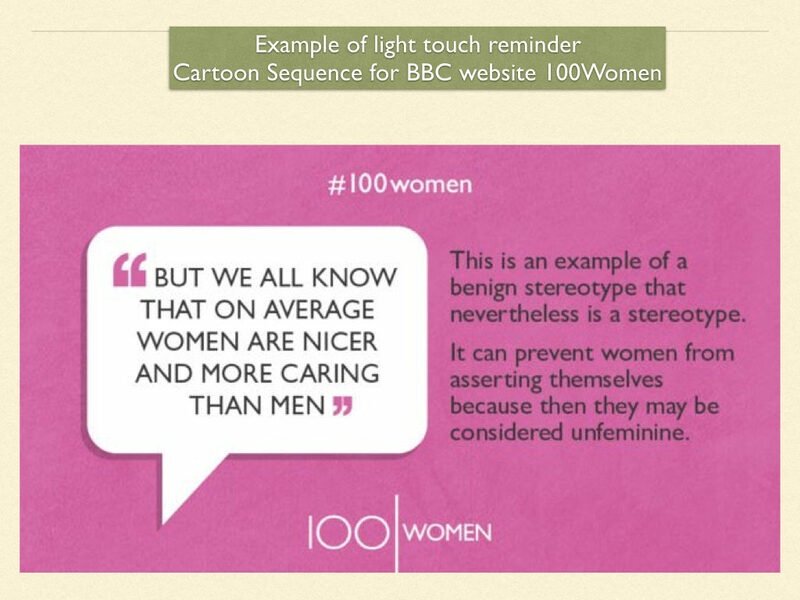 There seems to be a way for race and gender prejudice to tip the scales behind our backs. 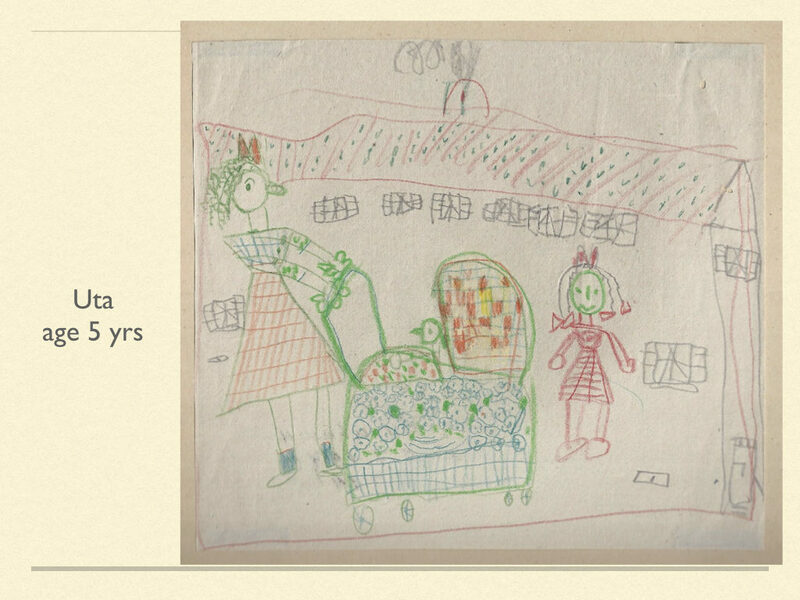 Prejudice seems ubiquitous and it seems to start very early in childhood. We like to think this could be an unwanted effect of our environment, something that can be reversed by training. In fact, it is something located deep down in our mind/brain and not easily erased. Why are our mental scales so prone to bias? Perhaps as far as our ancient social brain is concerned, accuracy isn’t everything. 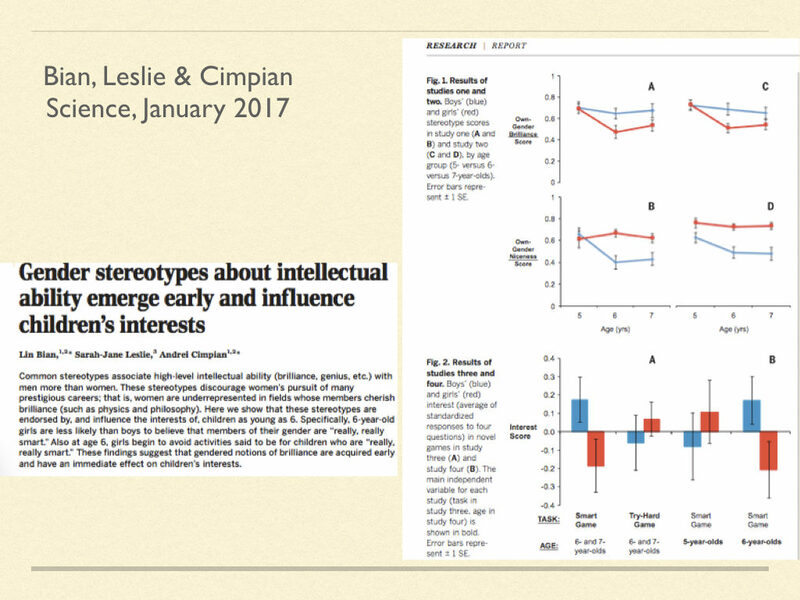 When we interact with other people there are more pressing concerns than discriminating subtle differences in achievement. No one knows how many bits of information have to be sifted to make quick decisions about other people, whether they belong to our group and whether they will cooperate or compete. All we know is that there are shortcuts that make it possible to constantly align with other social agents, if only to be able to fly in the flock. Getting along with other people is vitally important to us. We automatically assess them with brute self-interest, mostly hidden from our conscious Self. This is why the mental scales are biased and why they let down selection panels. This makes us uneasy because our considered assessment of individuals is often completely at odds with our crude automatic assessment. The unconscious part of our social brain is trigger happy in recognising in-groups and out-groups. Yet our feelings of belonging are fluid and we can belong to many different in-groups. It makes no sense to avoid strangers because their appearance evokes a threat response in our ancient amygdala, when in fact they might become useful allies. We have learned that we benefit more from cooperation than from conflict, and that oddballs can make outstanding discoveries. 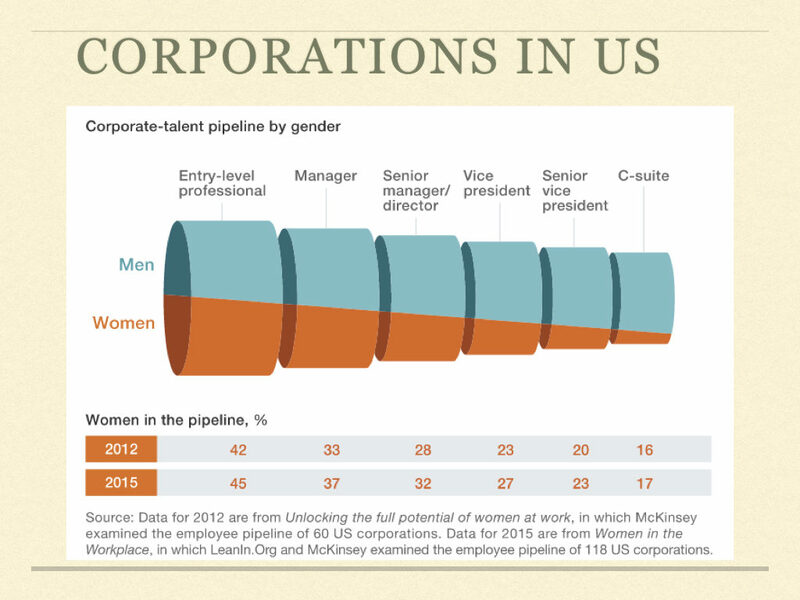 We have learned that men can be nurturing and that women can be competitive. All this learning does not erase the ancient short-cuts that the social brain has acquired over eons of evolution. However, we can agree that work of selection panels improves if we process information about candidates in a slow and deliberate fashion, using the conscious part of our brain. When we need to make accurate judgements about the merits of different individuals when we allocate grants or awards, and this means we need to becalm our highly inflammable social brain. 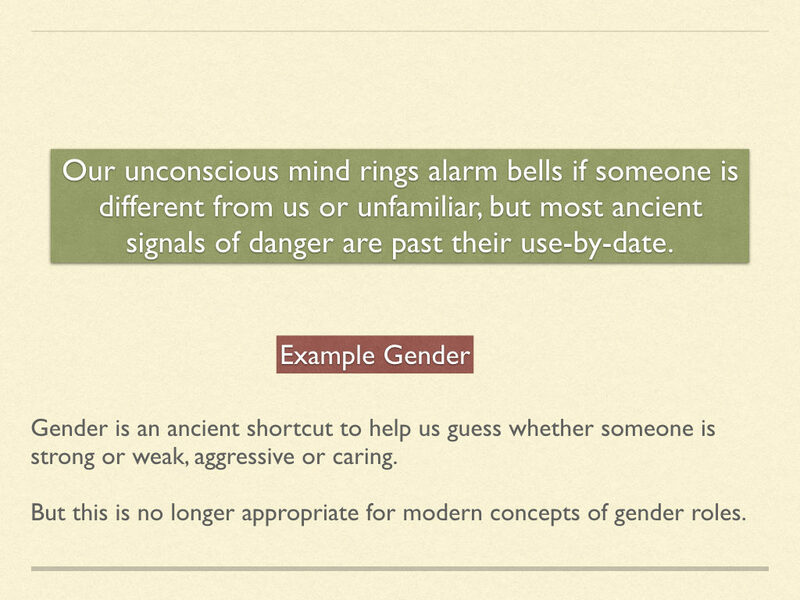 Here I want to mention just three shortcuts that guide information processing in the unconscious social mind/brain. 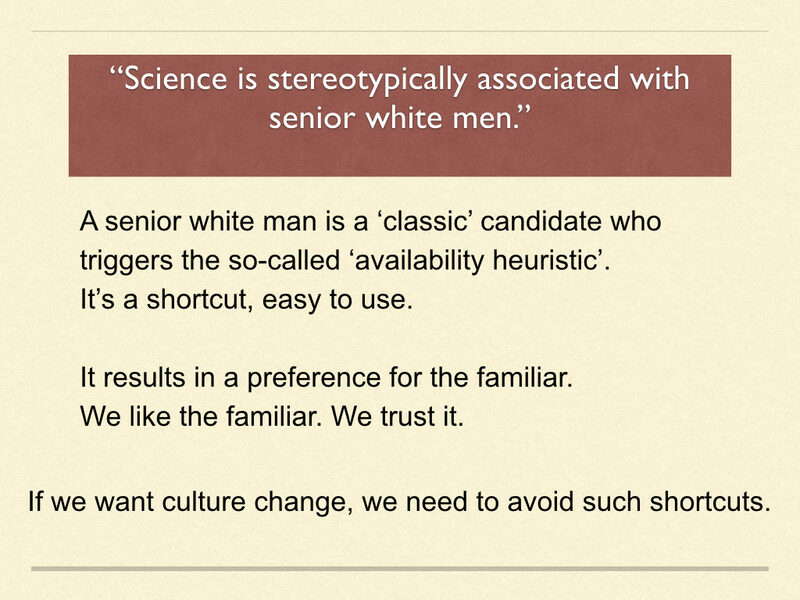 First, the so-called ‘availability heuristic’. This results in a preference for the familiar, for example for a candidate who is similar to previous successful candidates. Second, there is a desire for affiliation, which means we implicitly favour those who are like us and/or those who belong to a more socially dominant group. 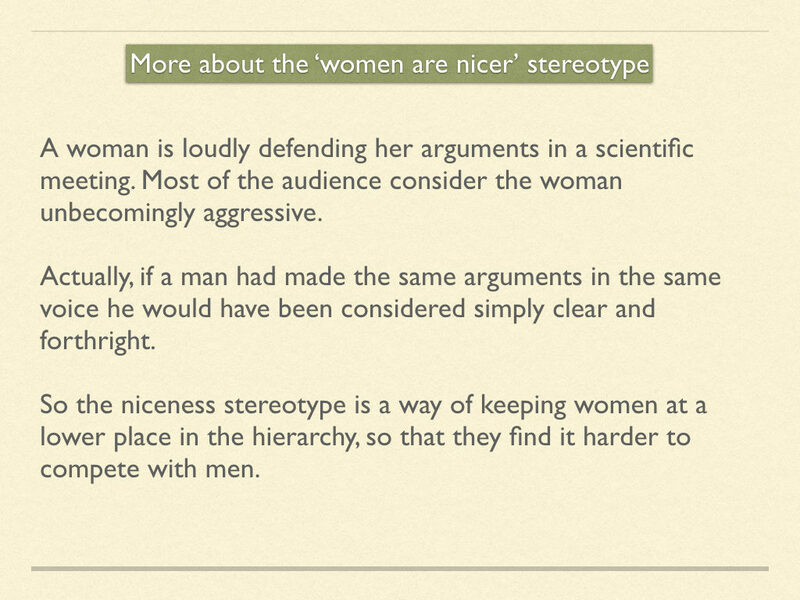 Third, we all believe that we are less biased than other people and have better arguments. 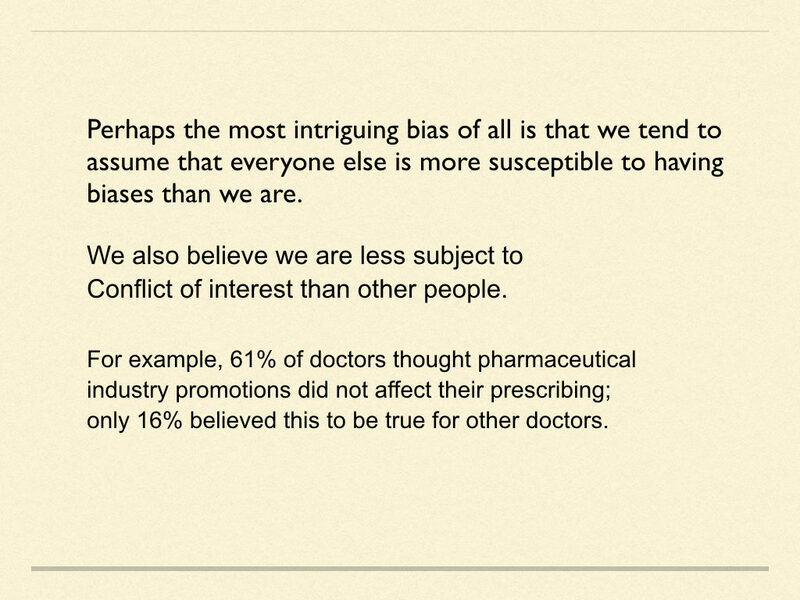 We also believe that we are less subject to conflict of interest than others. For example, 61% of doctors thought pharmaceutical industry promotions did not affect their prescribing; only 16% believed this to be true for other doctors. 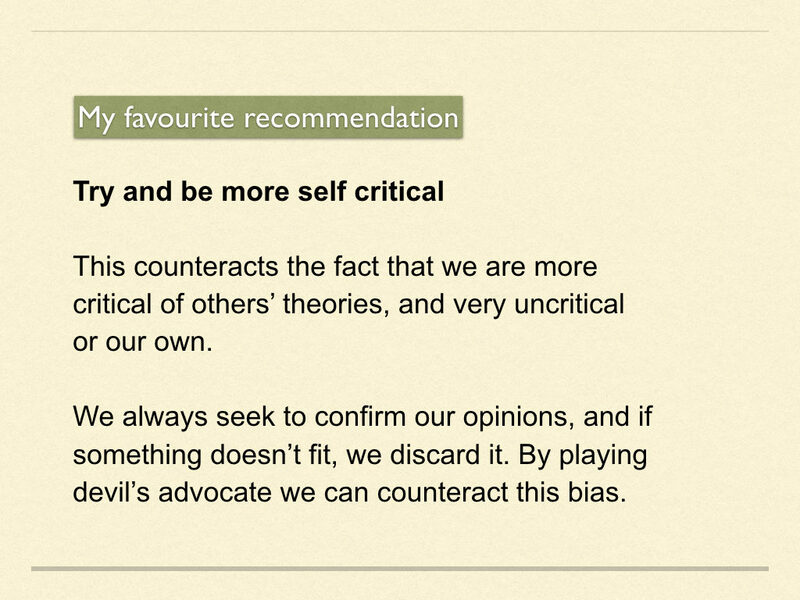 Knowing about biases does not neutralise them. They operate below consciousness and it is very unlikely that we can delete our unconscious short cuts. It might even be dangerous to do so, with unwanted side effects. But there is one way to make to ‘put them in their place’, in a manner of speaking. We can monitor and challenge each other because we see bias more easily in others than in ourselves. This is a bit uncomfortable – because we cannot see the beam in our own eye while we can see ‘the mote in our brother’s eye’. Of course we should not blame each other. 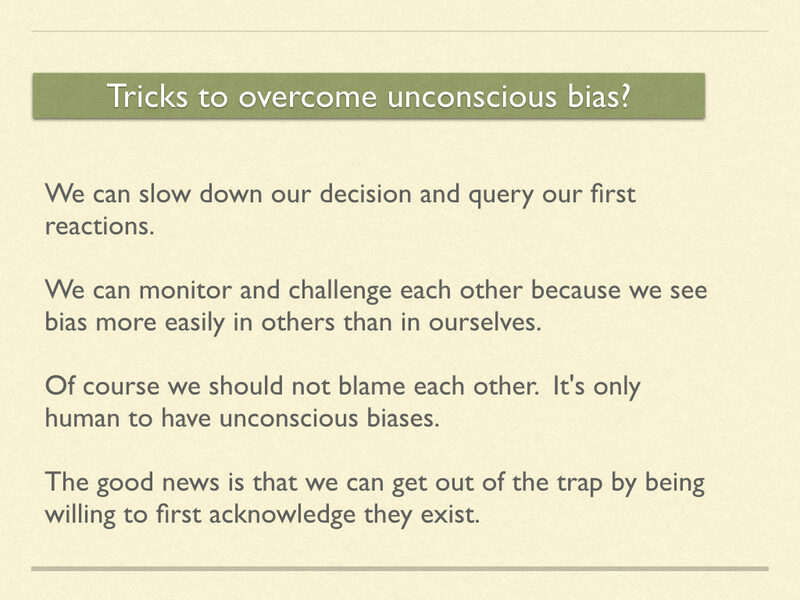 It’s human to have unconscious biases. What can we do to counteract bias? 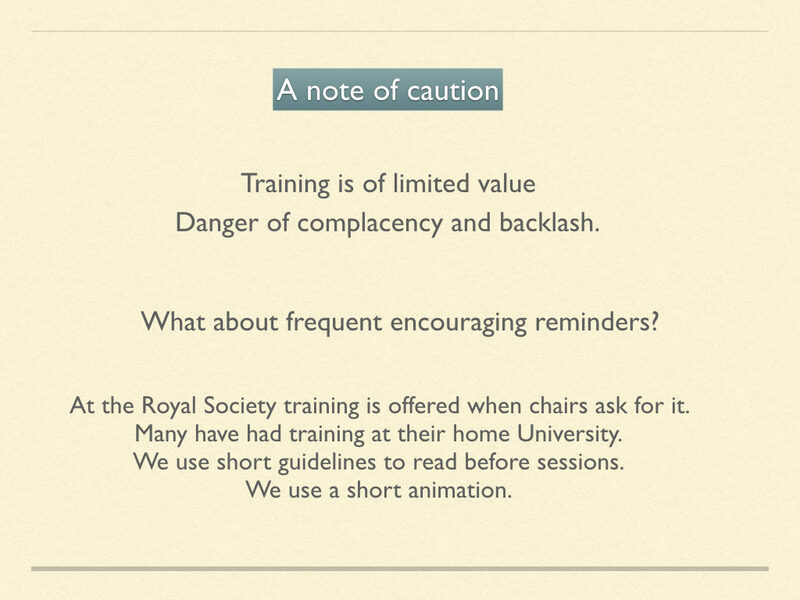 Not through intensive training programmes (see Footnote). However, it is useful to be aware of unconscious biases and selection panels need to be reminded of them as they make their difficult decisions. Slowing down the decision making process allows the conscious part of our brain to reflect and to query the reasons for our rash intuitive judgements. This is best done in groups when we can discuss different reasons. We can never ever be unbiased because this is how the brain works, where strong prior beliefs are affecting our perception and experience. Once we admit that subjective factors play into our judgement we can be more sceptical of our feelings. We can’t help it that our feelings are subtly biased against minority candidates. It’s precisely because there are so few of them. It means they fall outside the norm, always an awkward place to be. 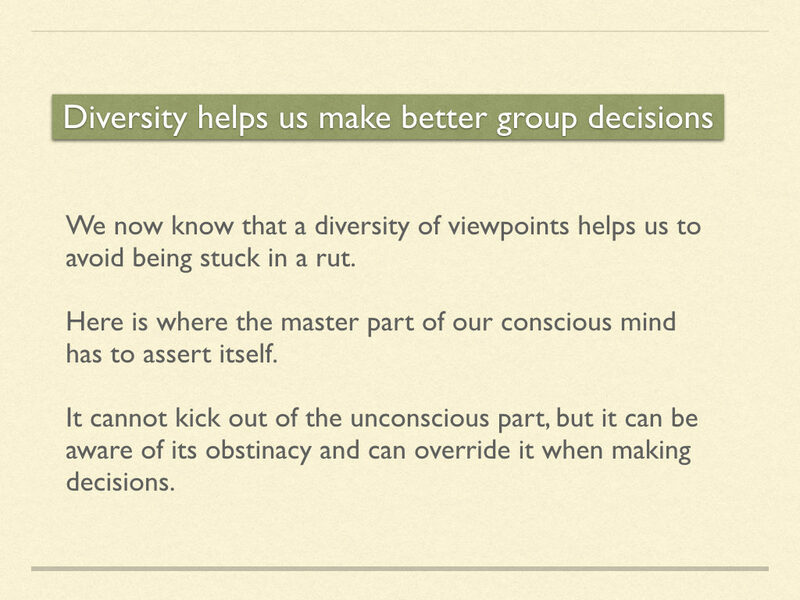 Diversity helps us make better decisions (more on this in the next post). We now know that a diversity of viewpoints helps us to avoid being stuck in a rut. 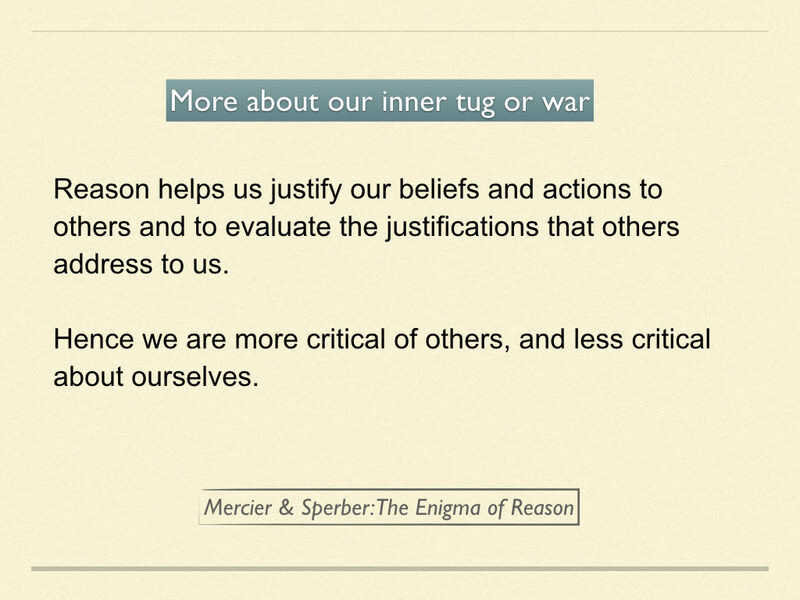 By listening to others’ point of view we can counteract the fact that we tend to be more critical of others’ theories, and uncritical or our own. 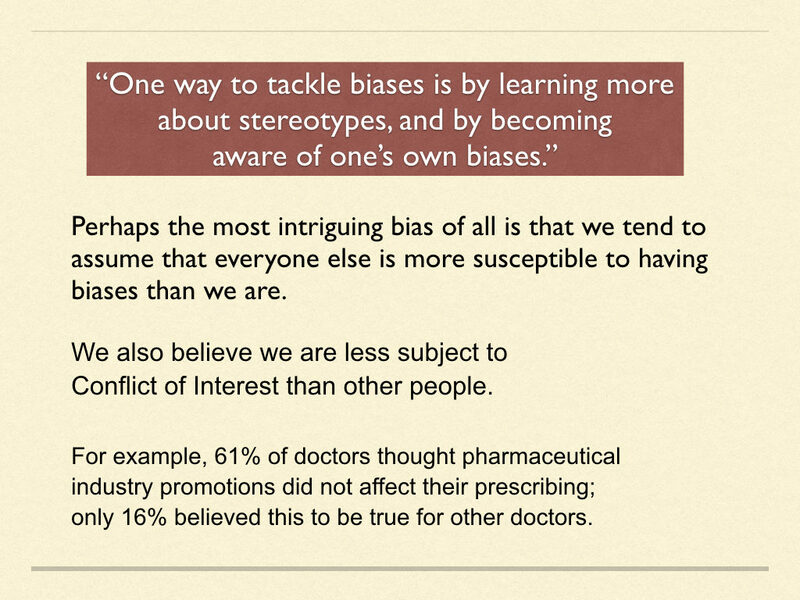 Footnote Unintended consequences of conscious efforts to counteract bias. Brown et al. 2011 argued that people feel licensed to act on bad motives if they feel they have the moral high ground. Affirming one’s egalitarian or pro-social values and virtues subsequently facilitates prejudiced or self-serving behaviour, an effect referred to as “moral credentialing.” In a study people who had ‘credentialed themselves’ were more likely to cheat in a maths test, especially if they could easily rationalise this behaviour. In another study Monin & Miller, 2001 showed that people are more willing to express prejudice when their past behaviour has established their credentials as morally superior non-prejudiced individuals. 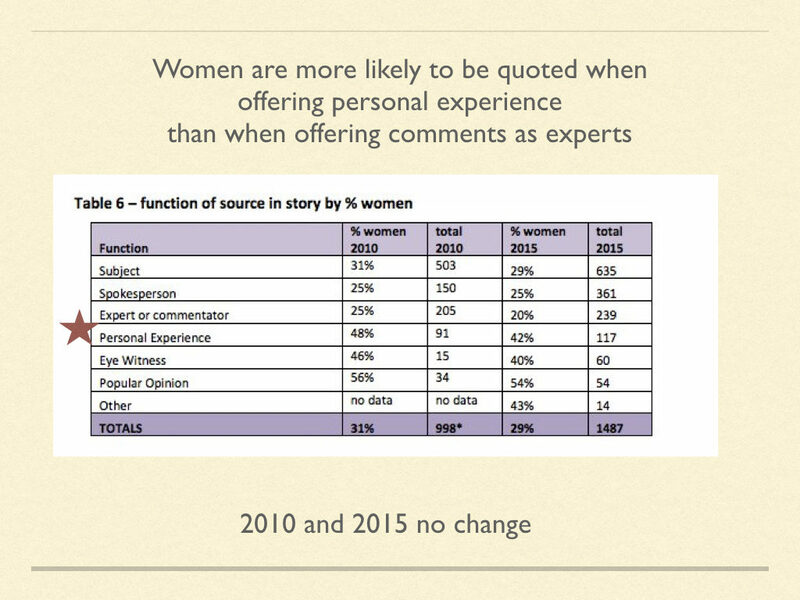 Here, people were first given the opportunity to disagree with a blatantly sexist statement. 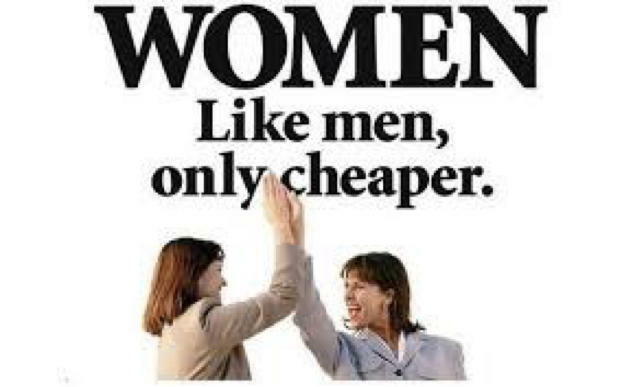 Later they were more willing to favour a man over a woman for a stereotypically male job. Other studies confirmed this rebound effect. 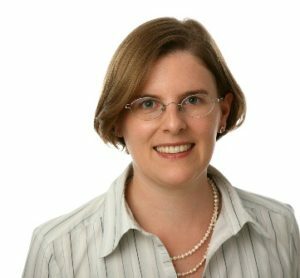 Antonia Hamilton on Social priming – does it even exist?